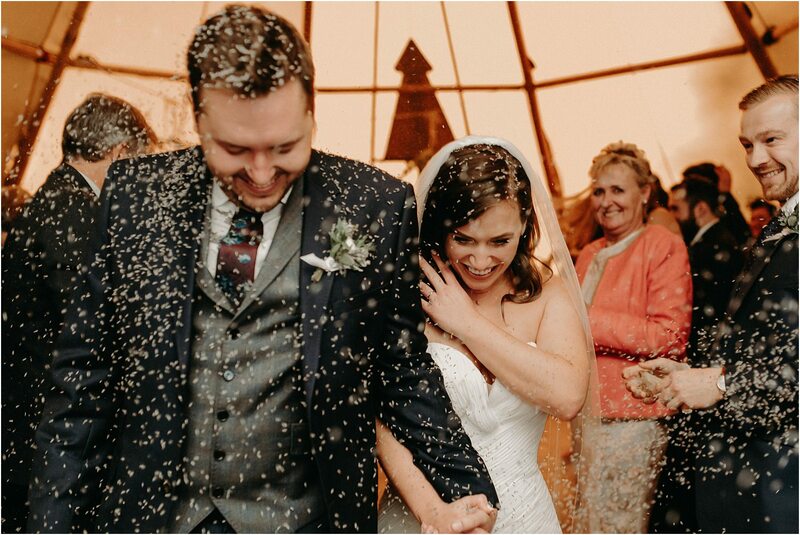 As a professional wedding photographer I often photograph beautiful Norfolk tipi weddings and Emma + Brad’s was certainly no different! 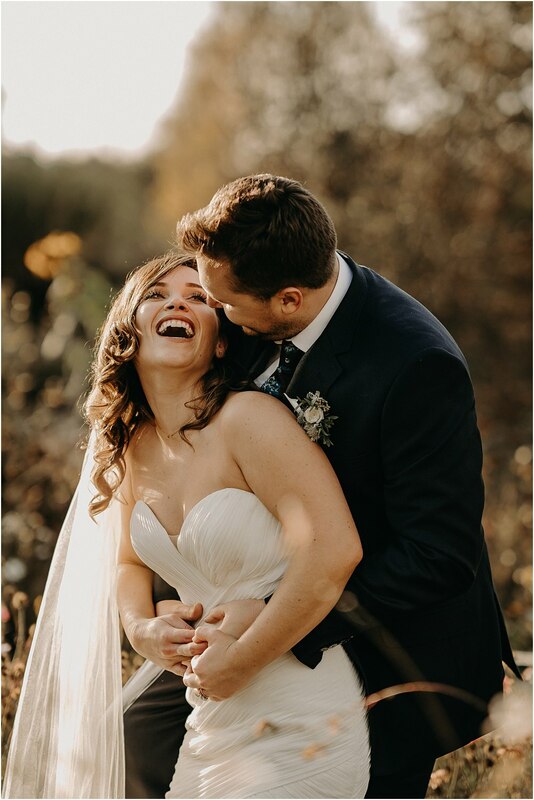 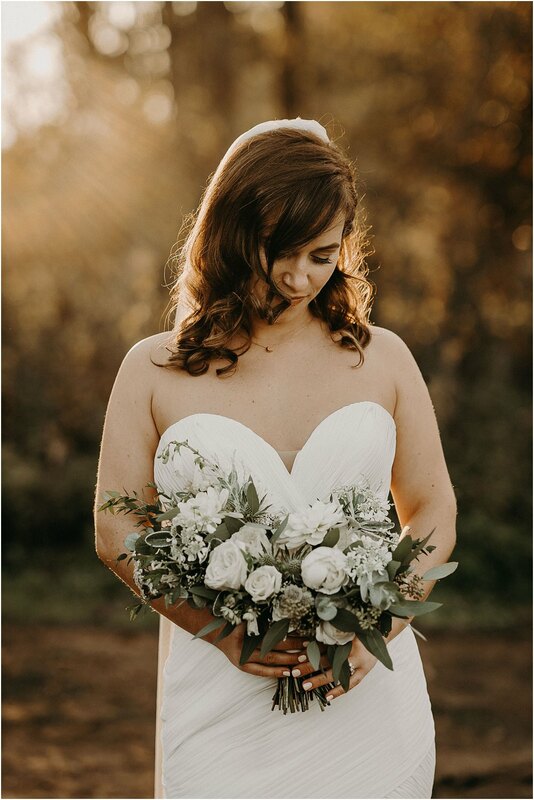 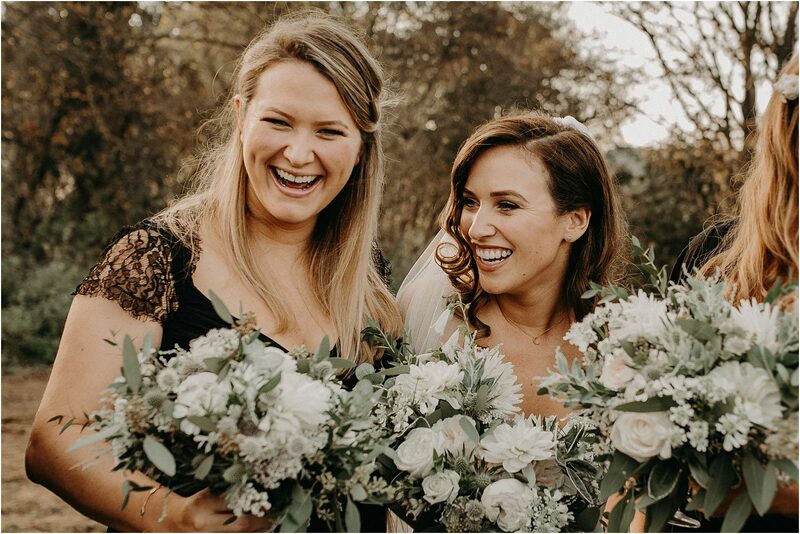 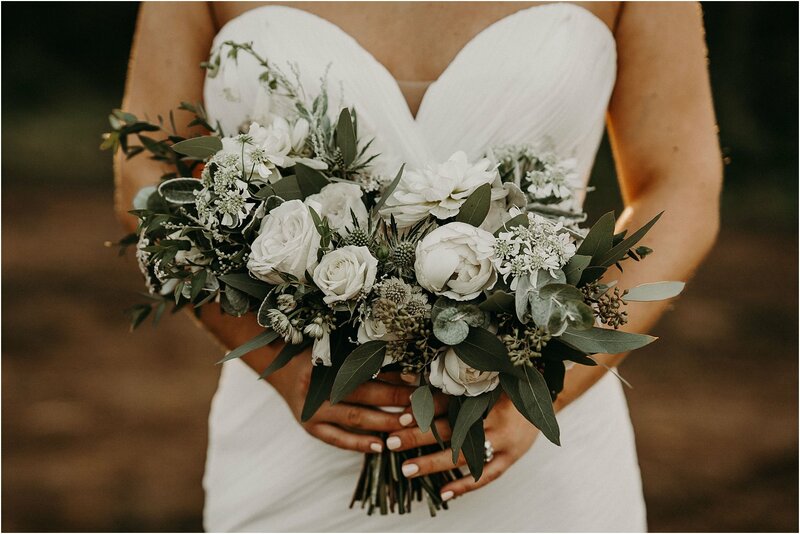 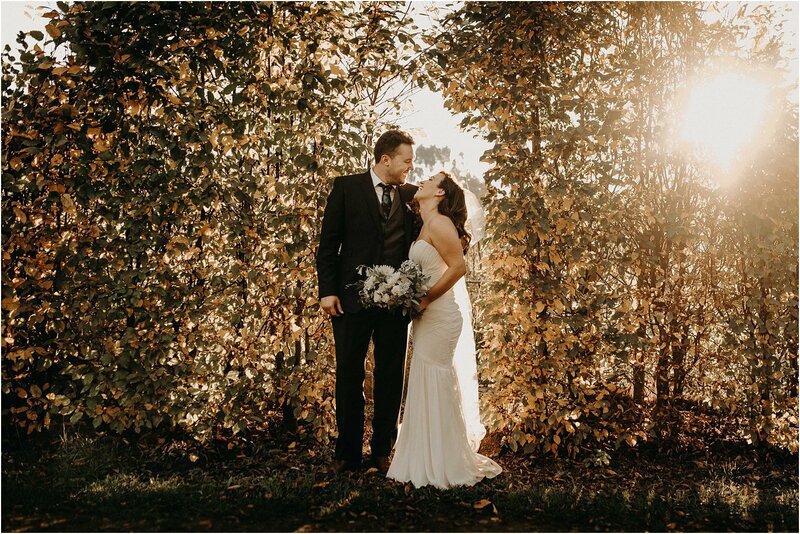 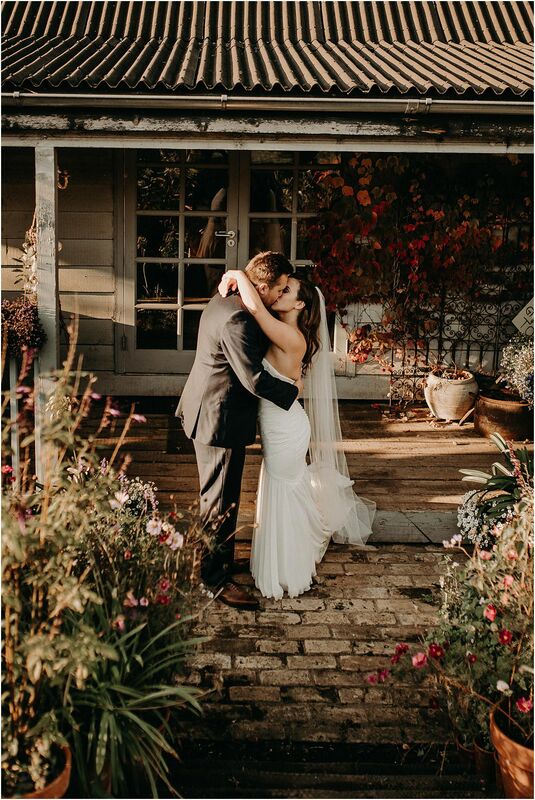 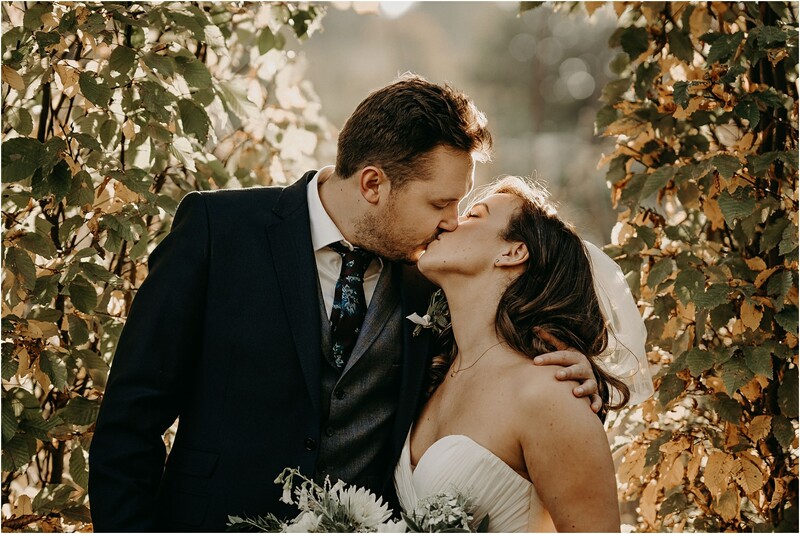 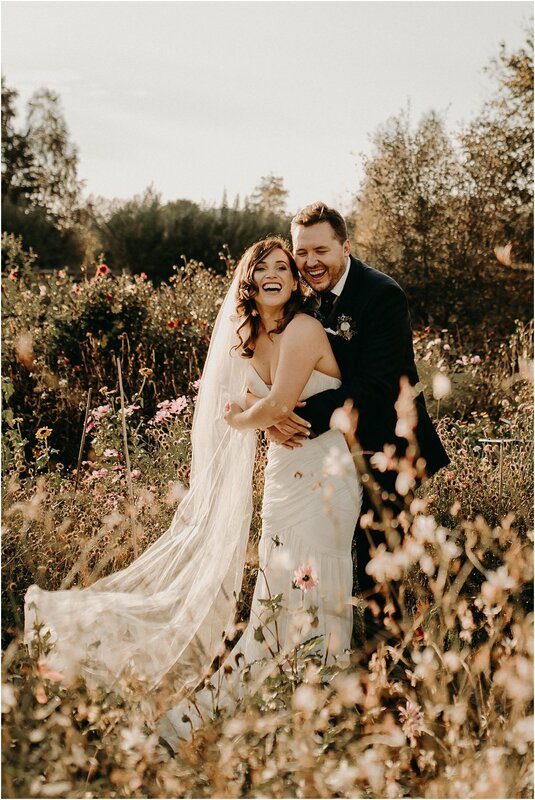 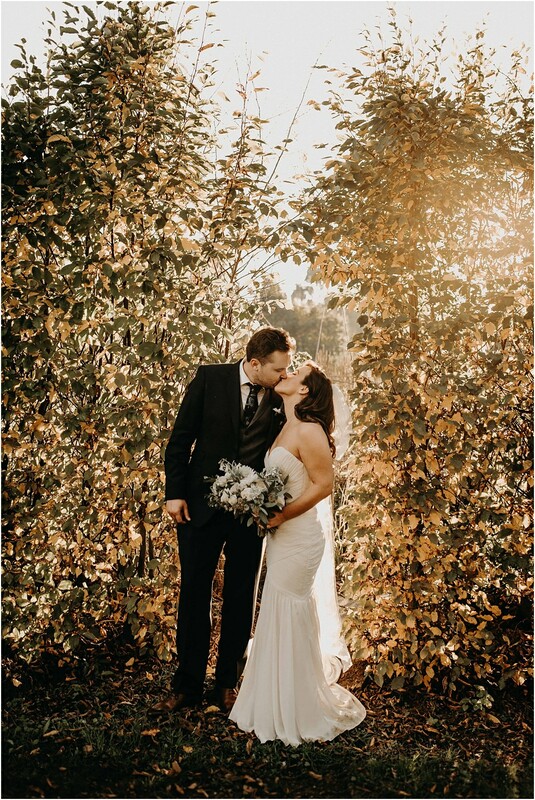 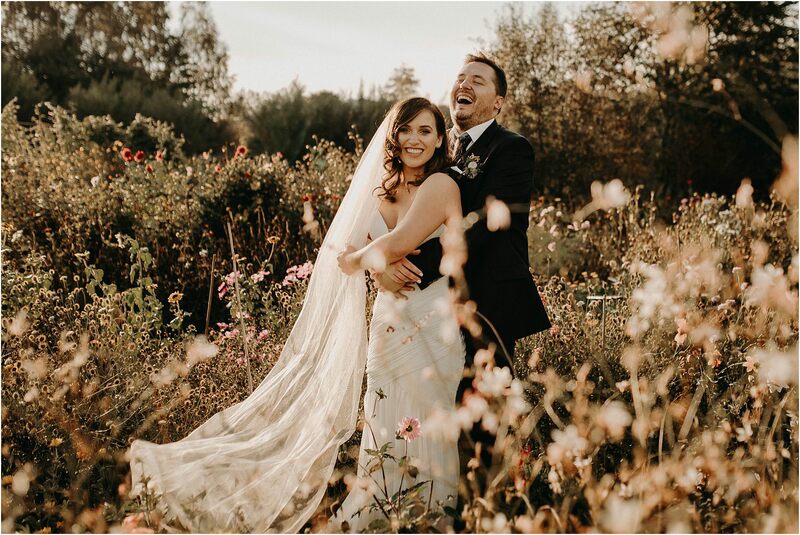 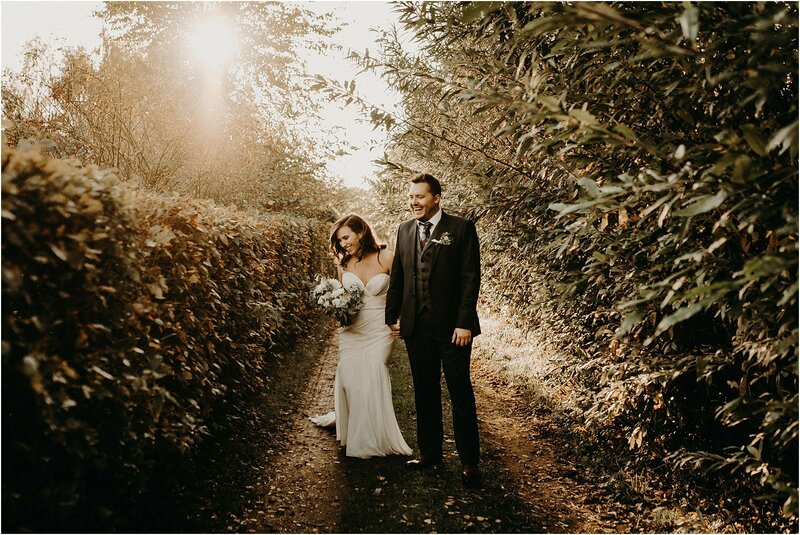 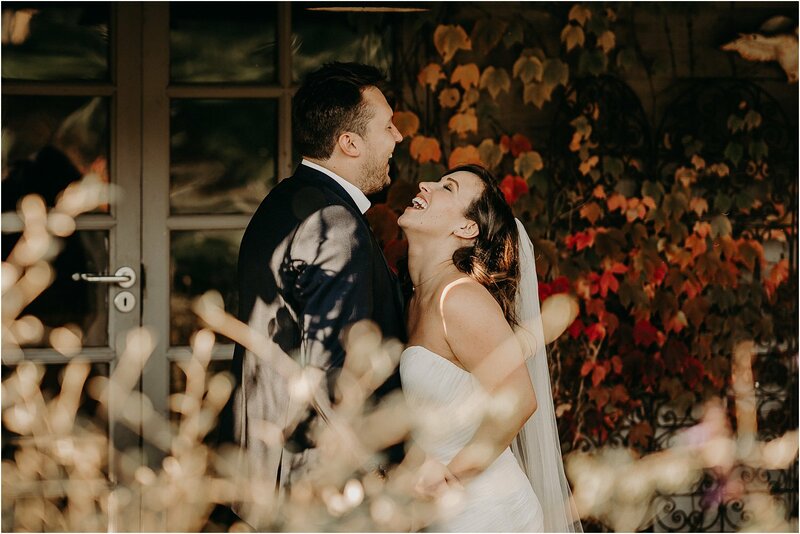 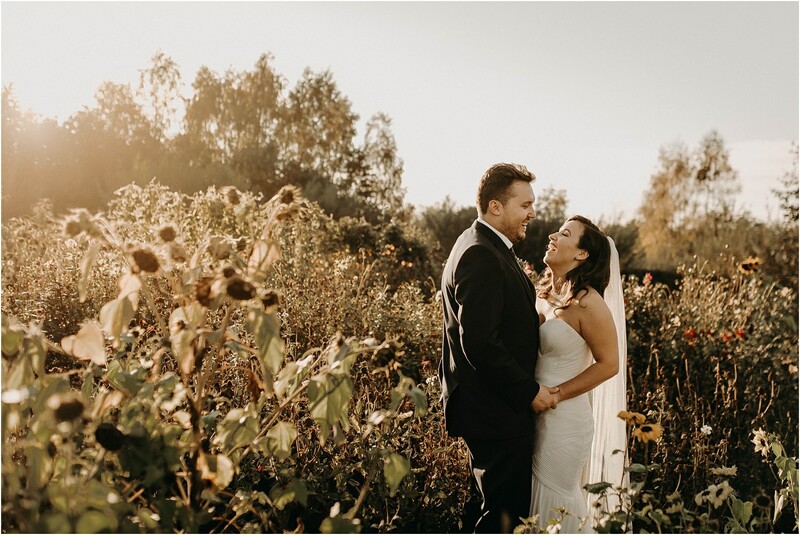 The wedding was held in a stunning garden and wow, what an location it was! 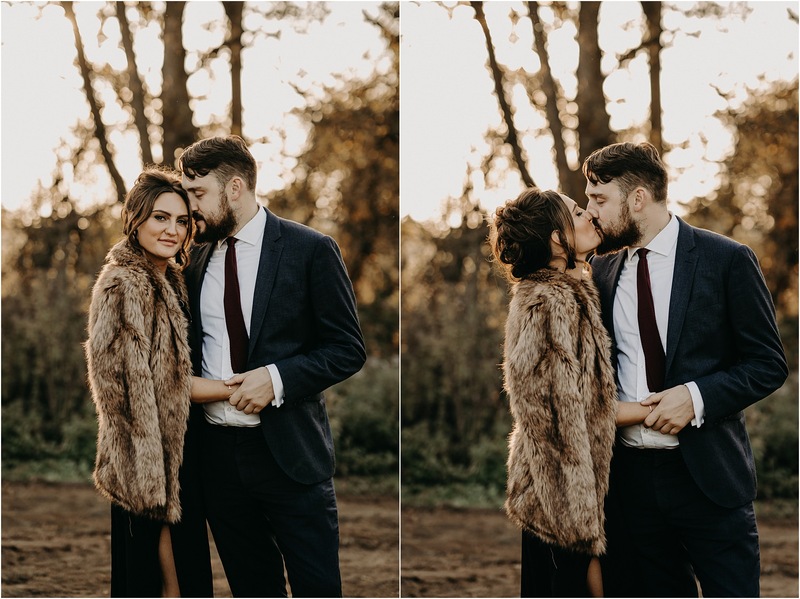 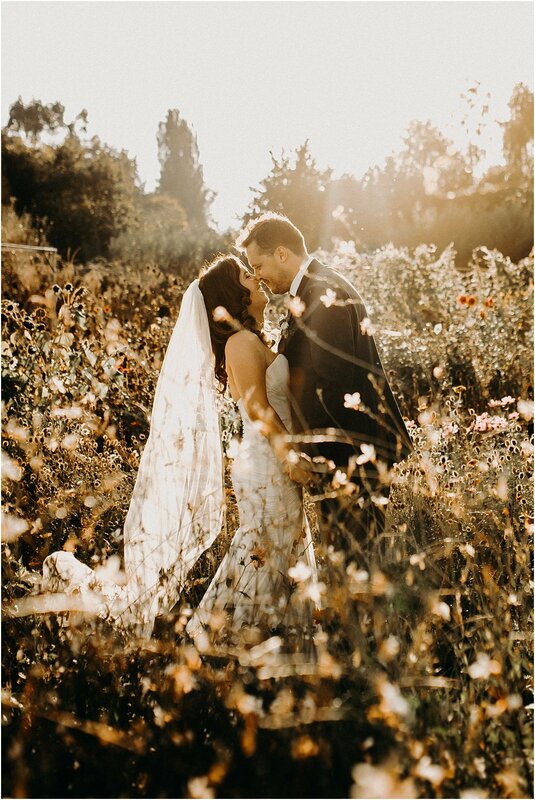 For their couple portraits we headed to a beautiful area full of blooms which for a wedding photographer who’s seen a lot of places, this was really special and made the perfect setting. 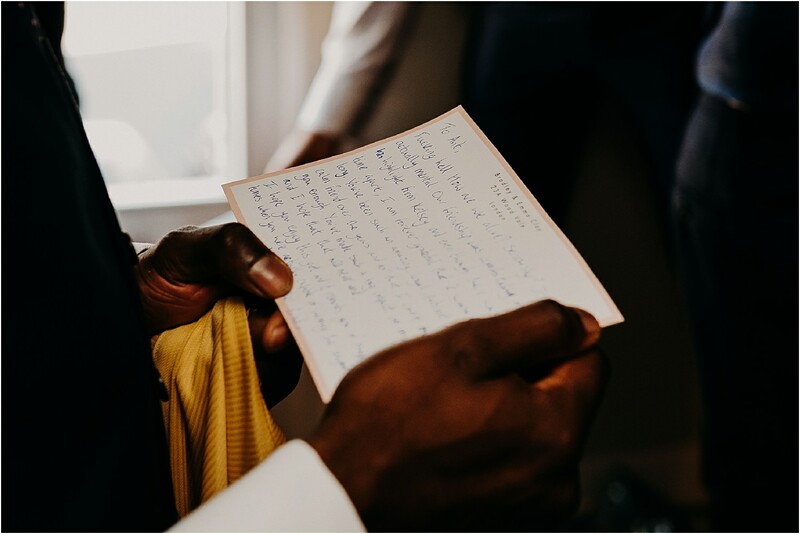 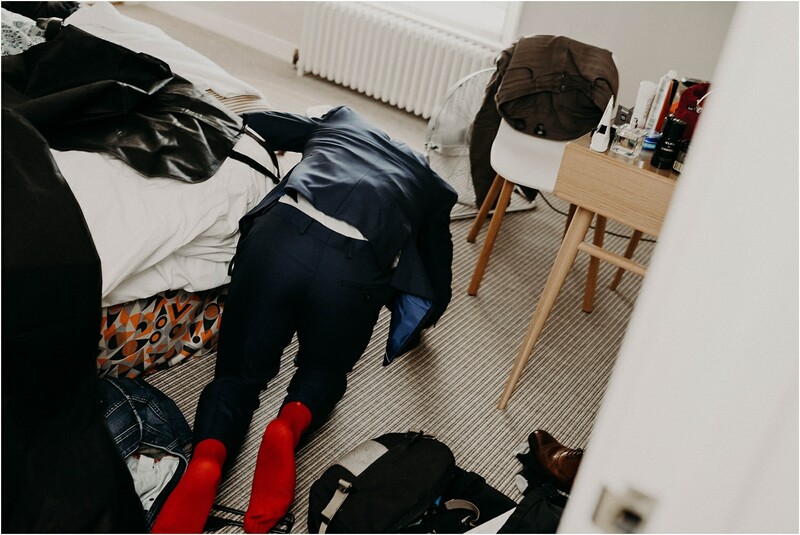 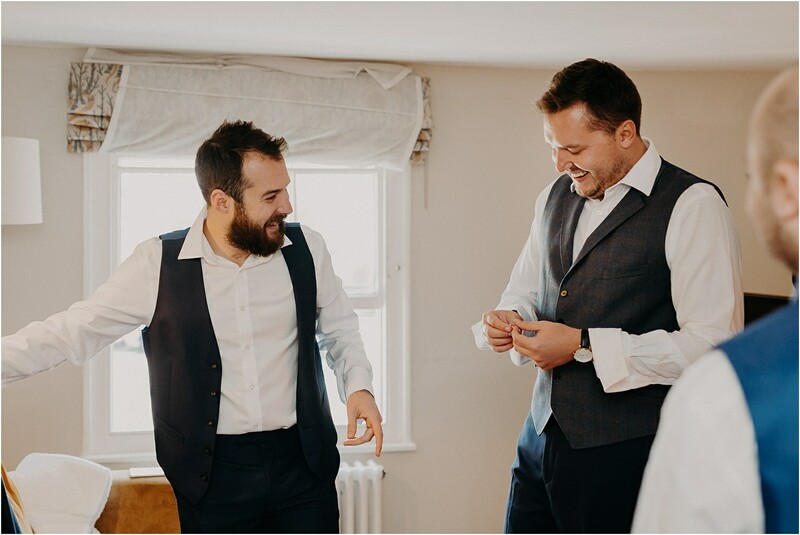 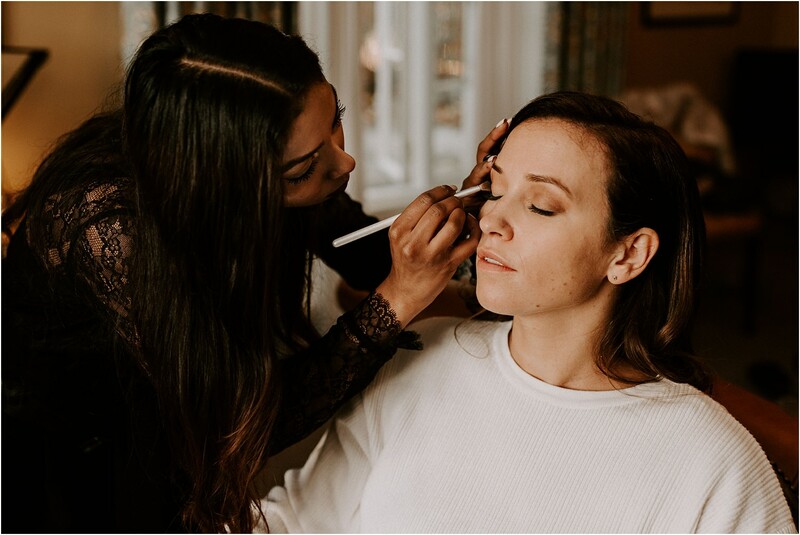 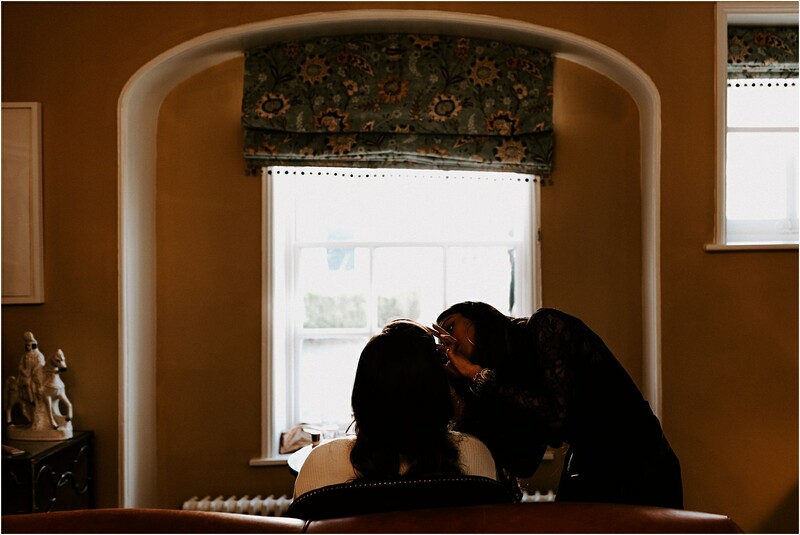 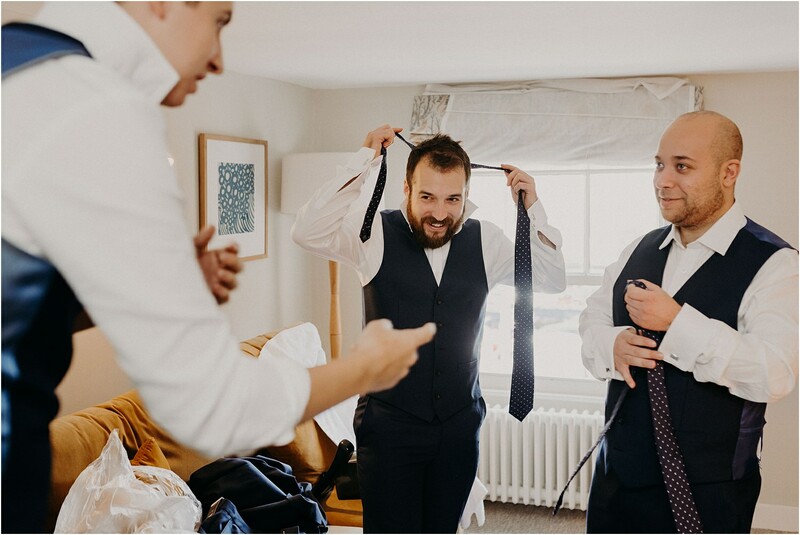 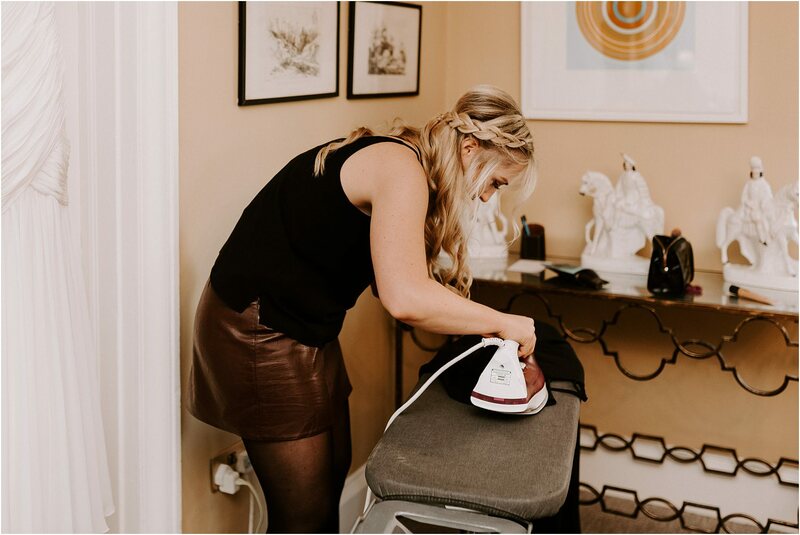 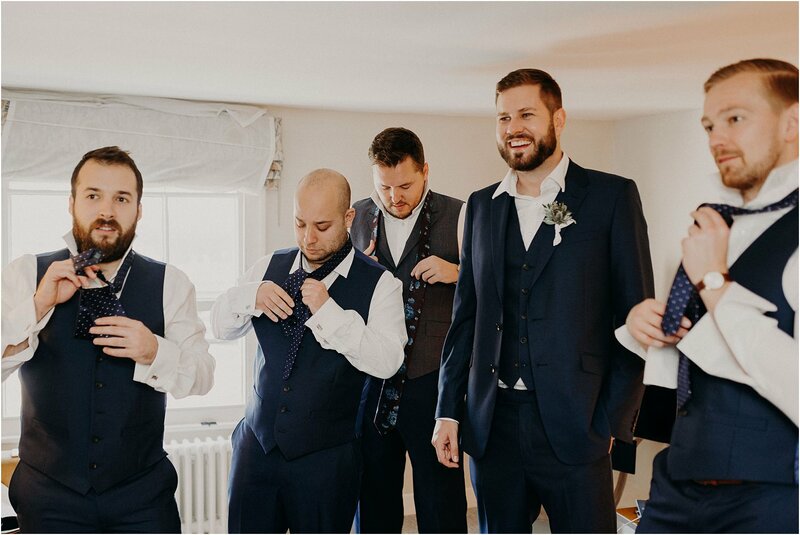 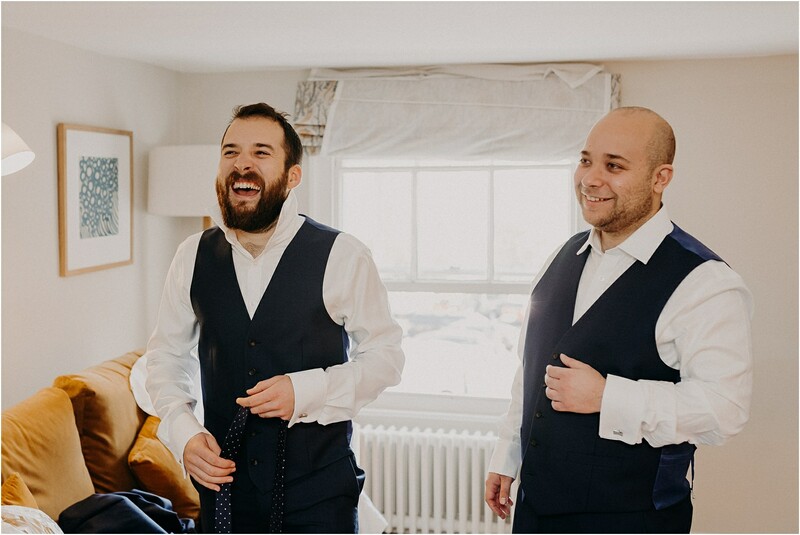 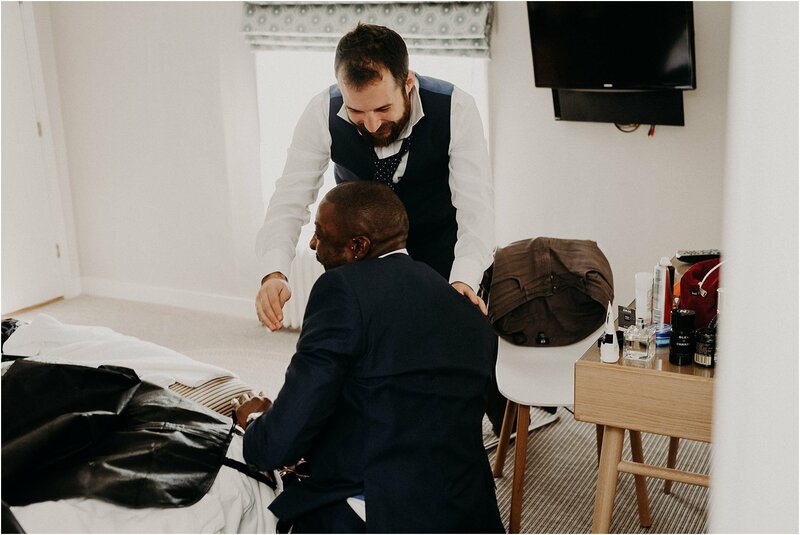 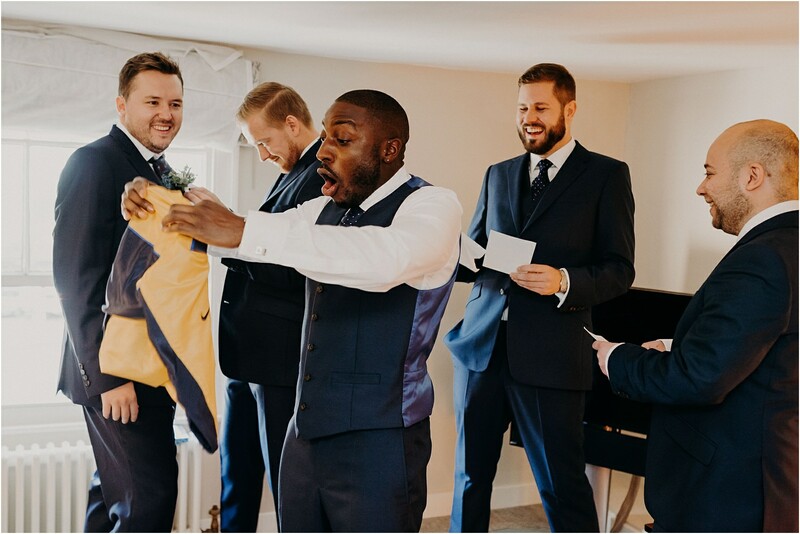 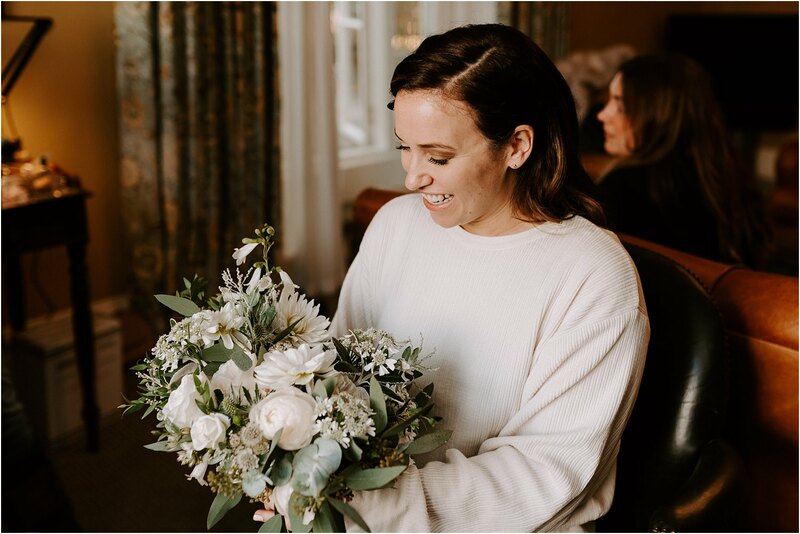 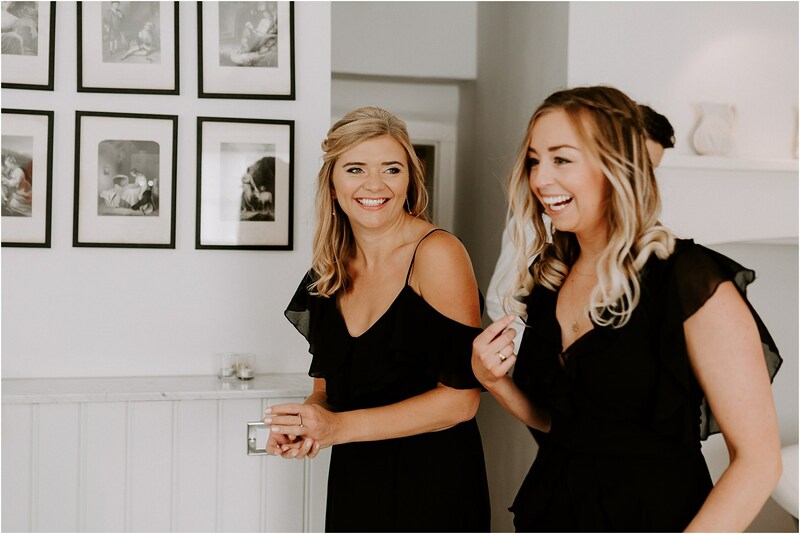 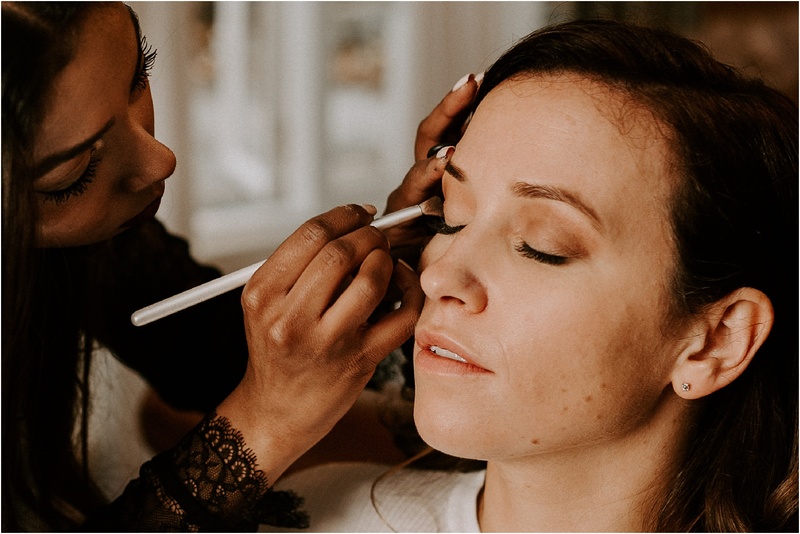 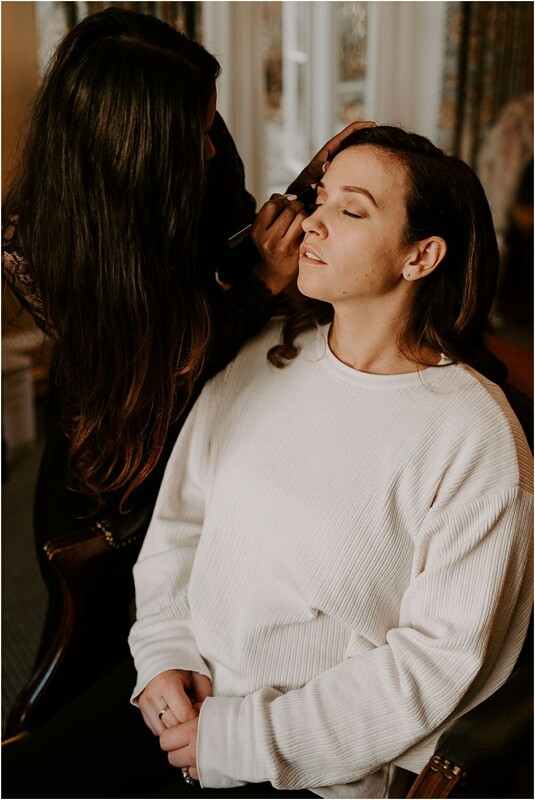 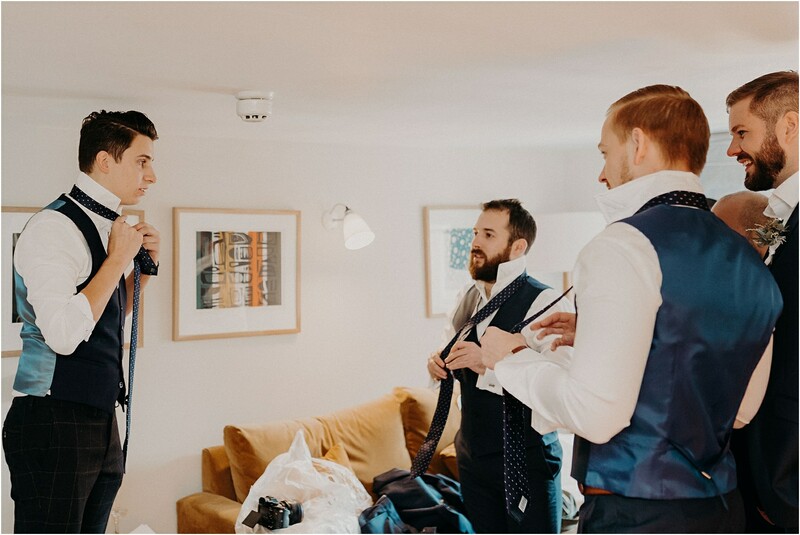 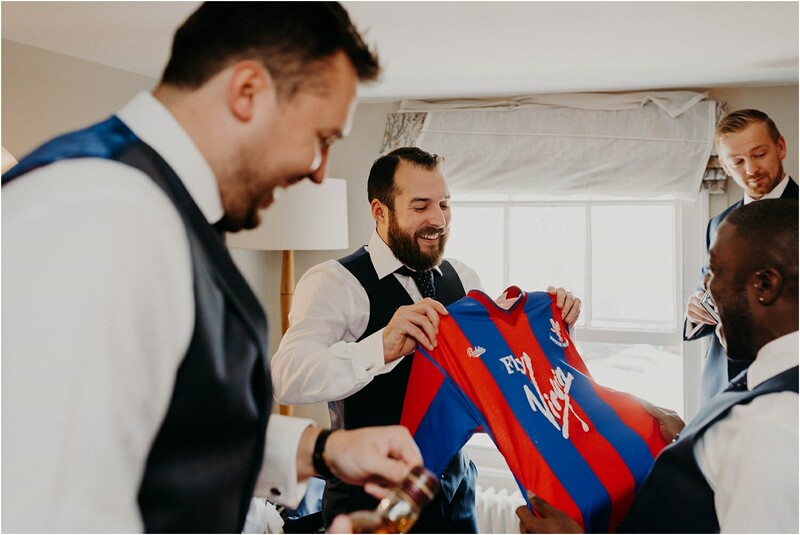 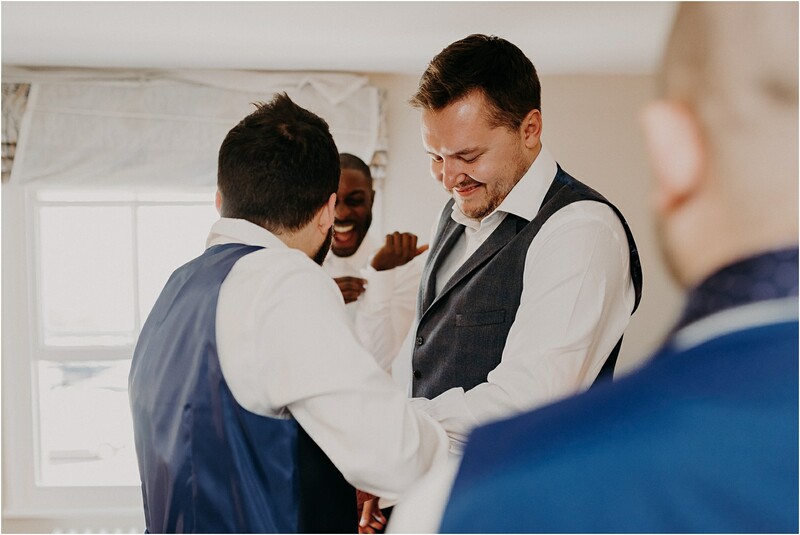 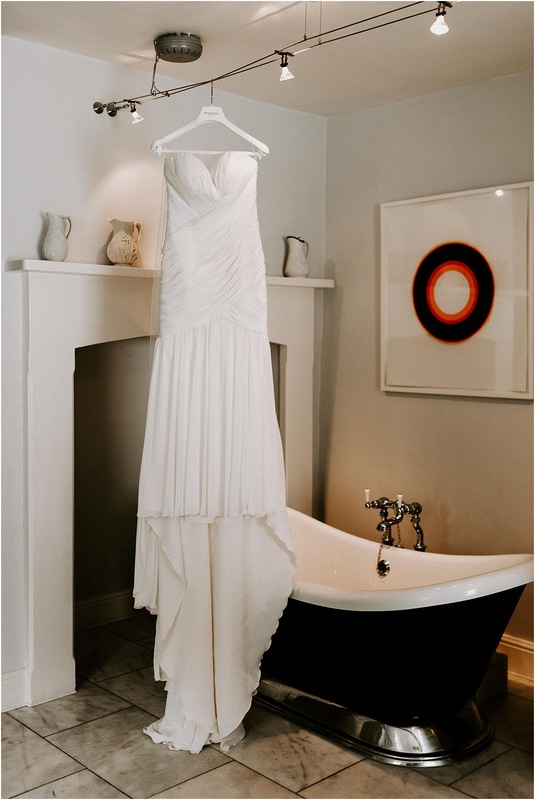 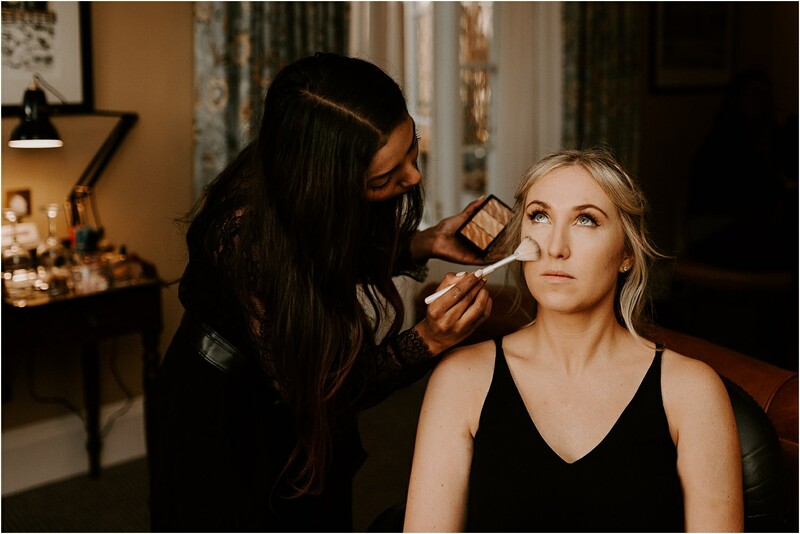 Sometimes its requested that I cover both groom and bride prep on the morning of the wedding which I absolutely love to do and is always possible if the bride and groom are getting ready in the same location, as was the case on this day. 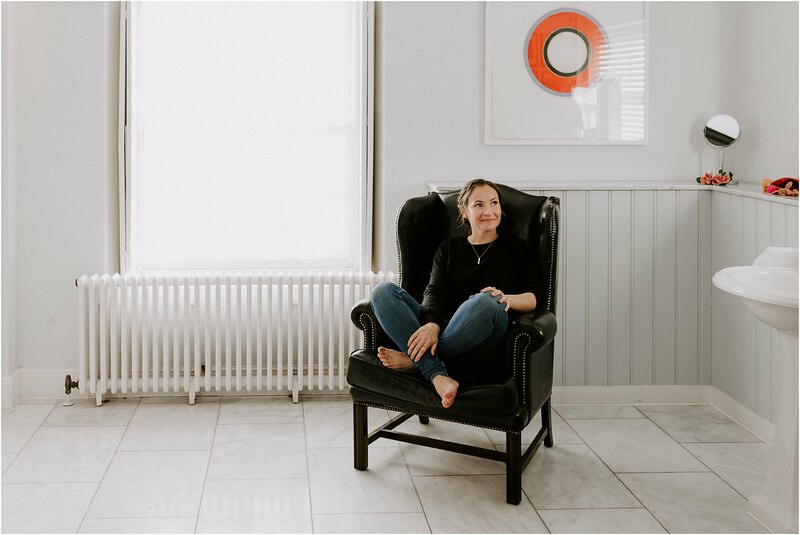 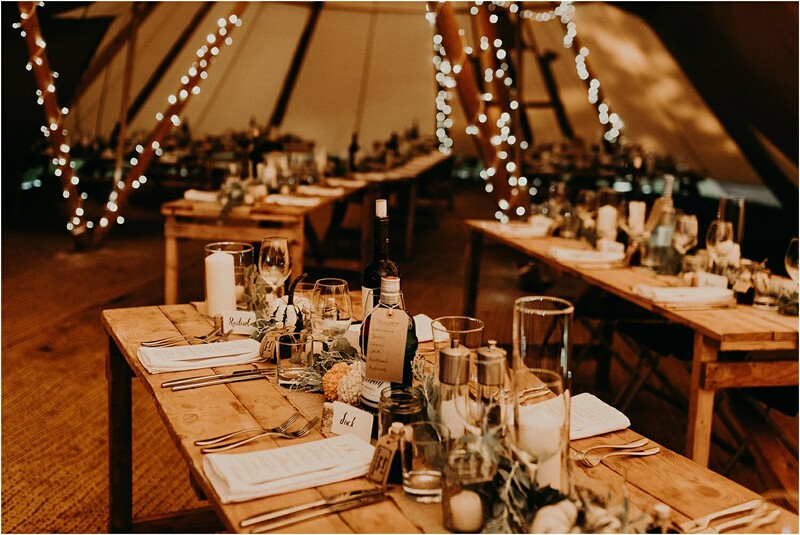 The contrast between the rooms was so strong, a super relaxed, peaceful atmosphere in the girl’s room as they got themselves ready for the exciting Norfolk tipi wedding, the boy’s room quite the opposite! 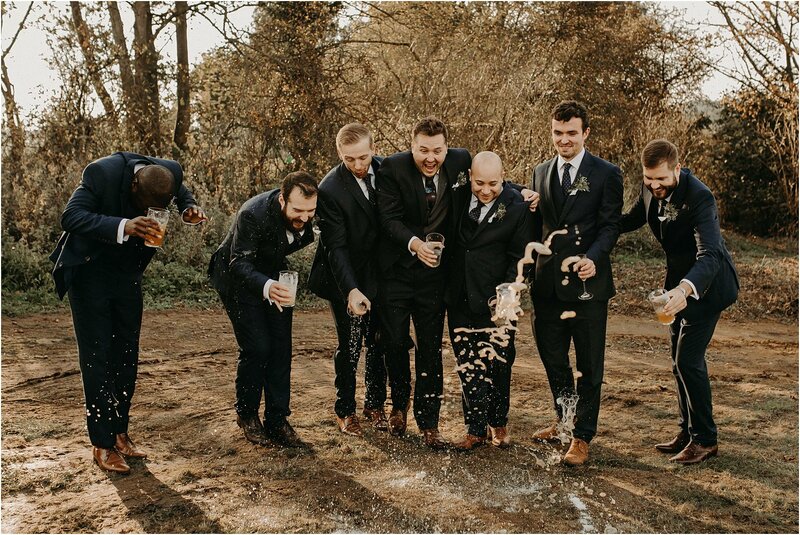 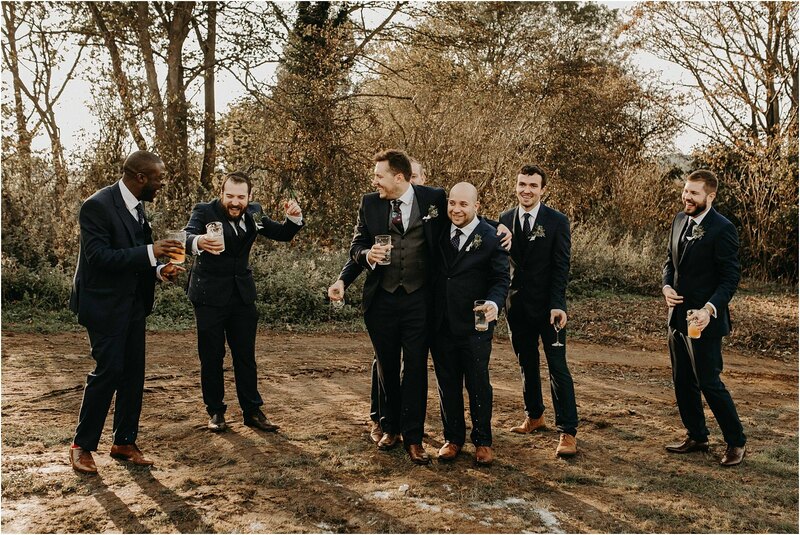 Chasing each other across beds, shots of alcohol, football celebrations and YouTube tie-tying tutorials. 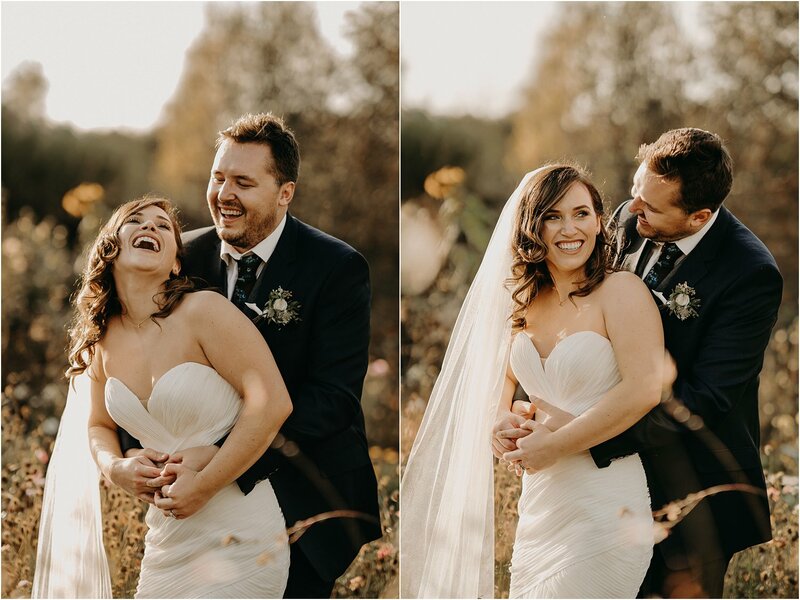 Honestly was SO much fun to capture and I loved seeing how excited they all were running around the room! 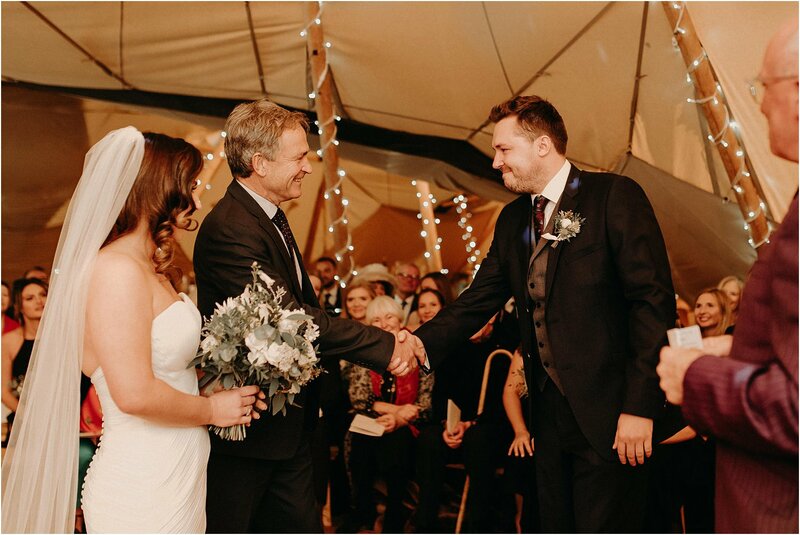 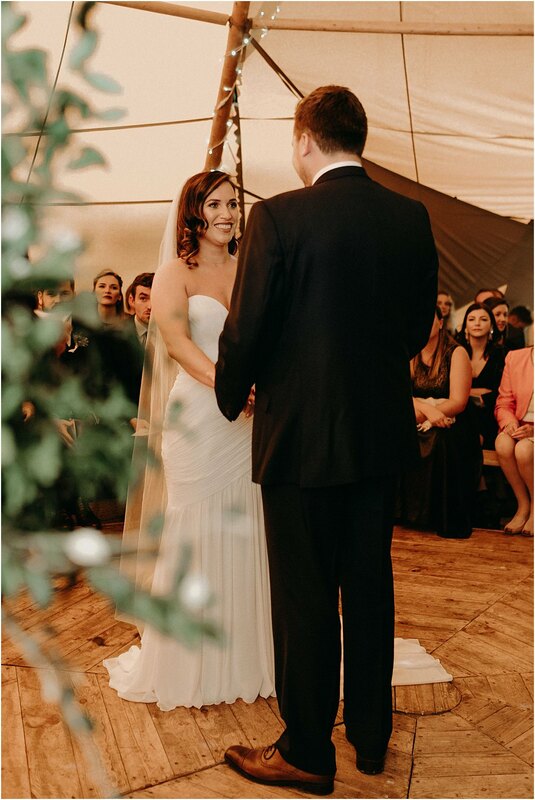 The wedding ceremony of this Norfolk tipi wedding itself was so lovely to be a part of. 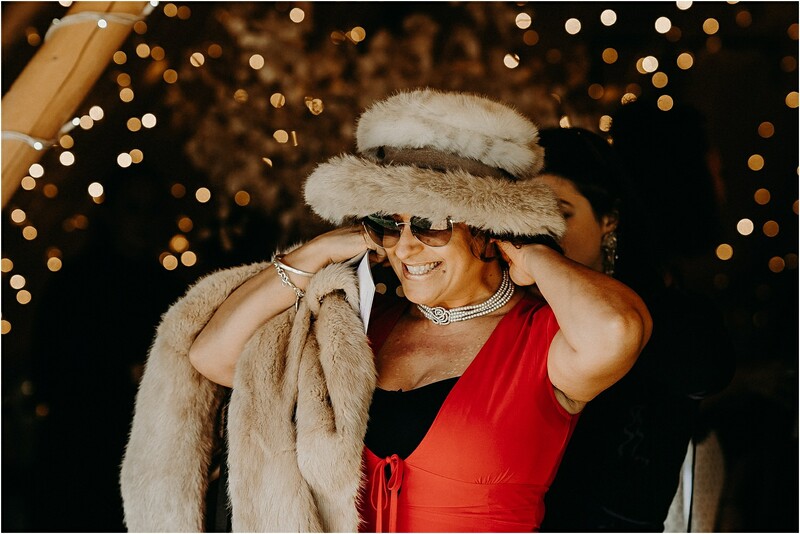 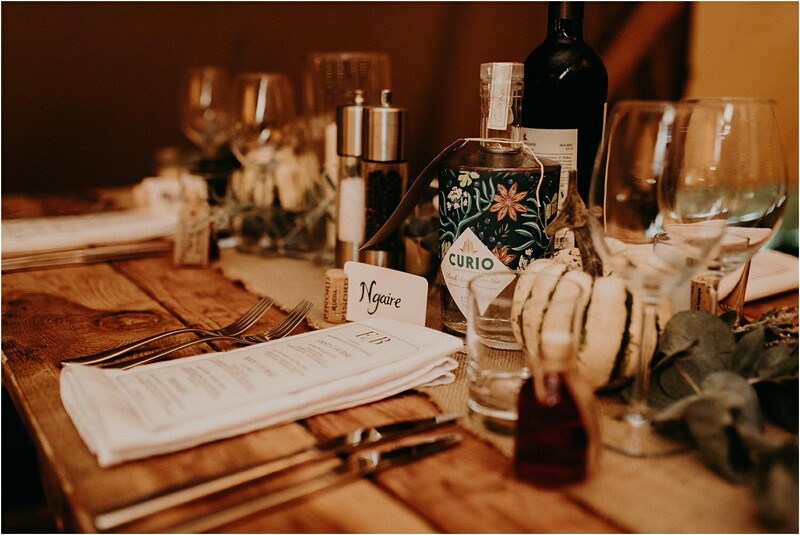 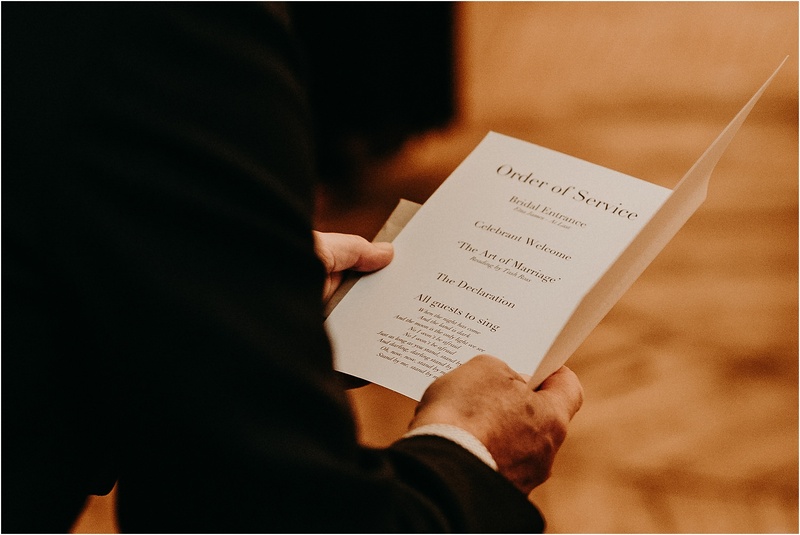 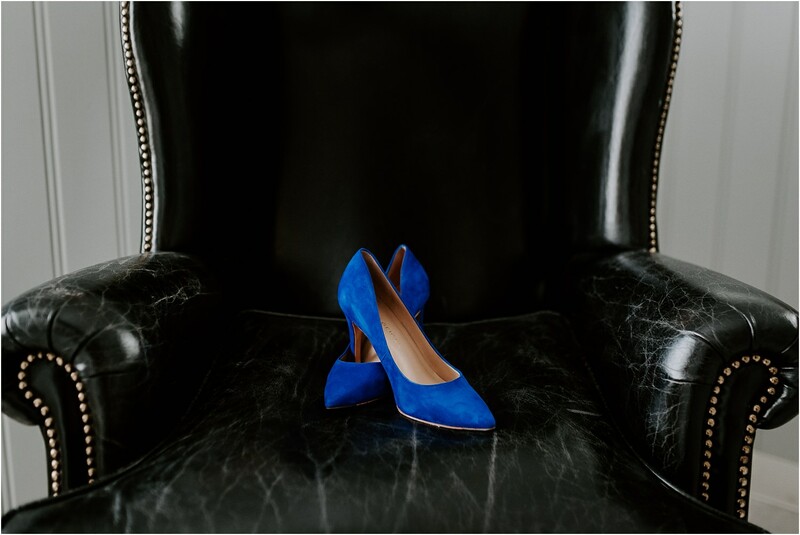 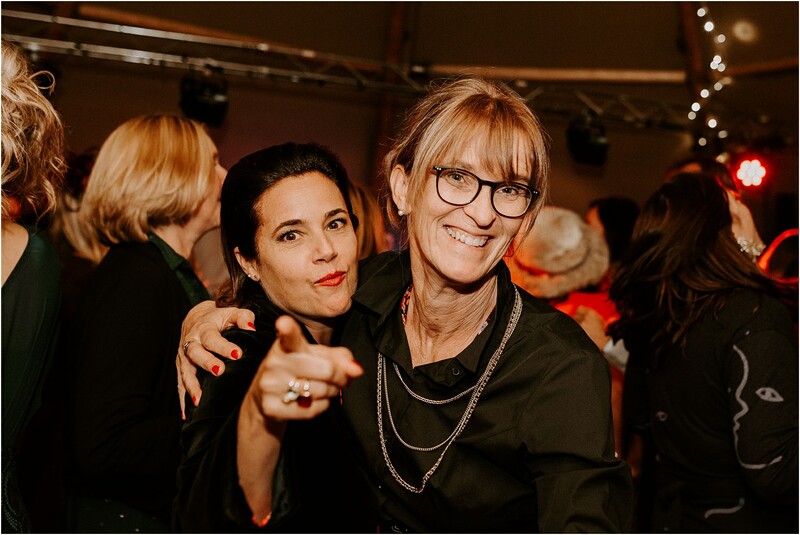 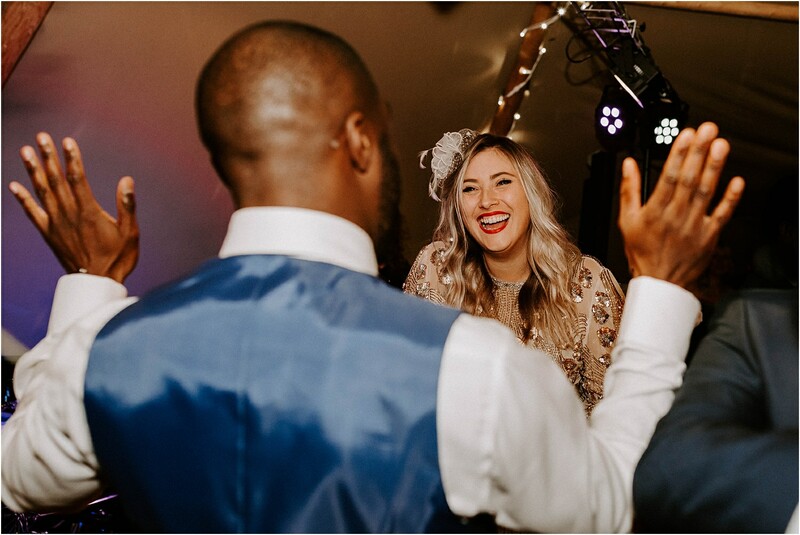 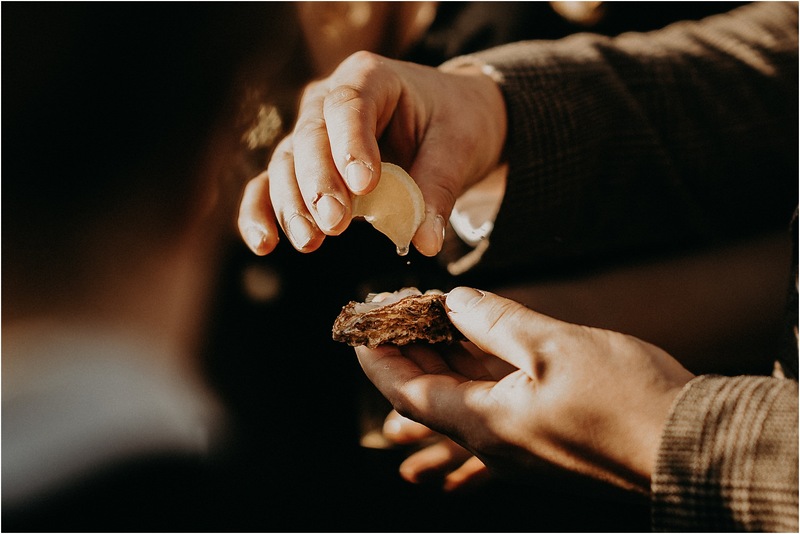 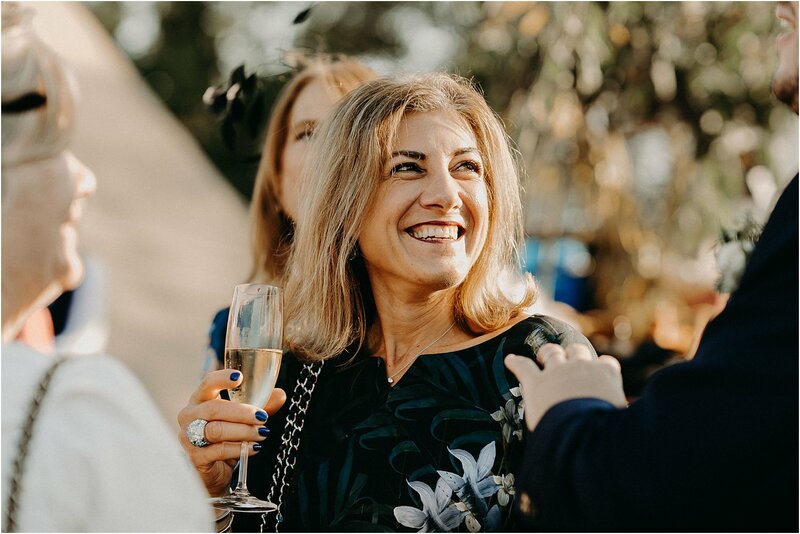 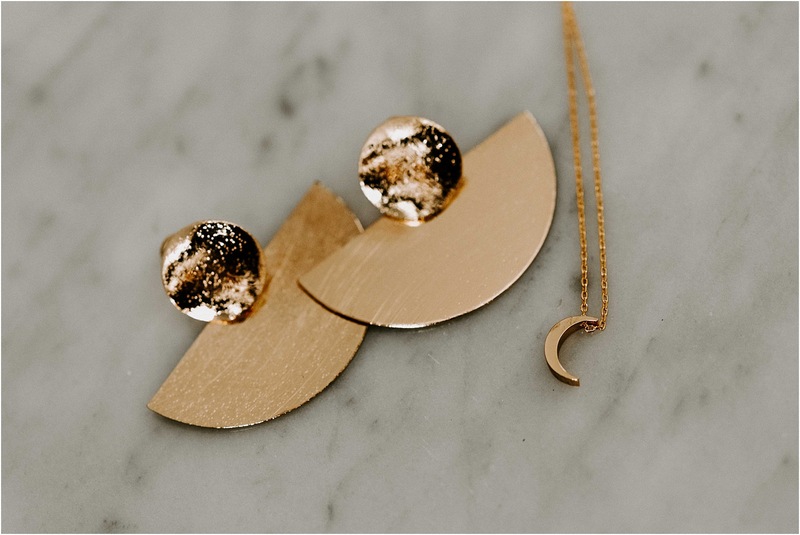 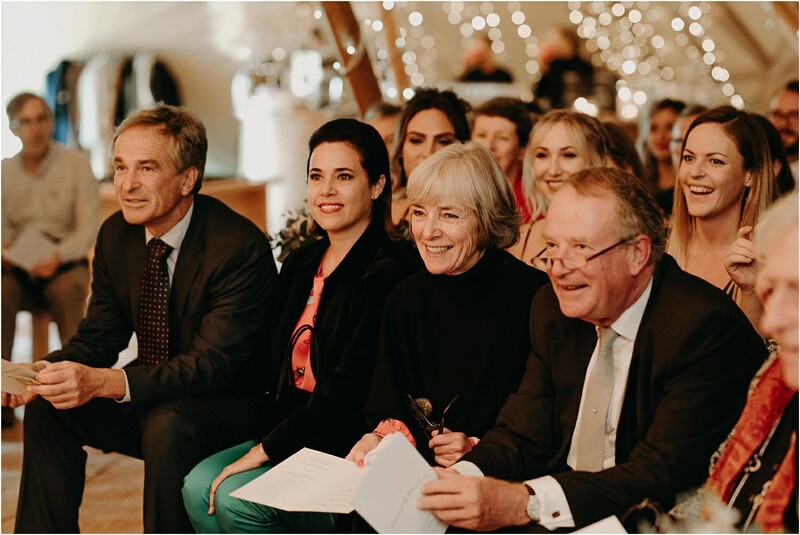 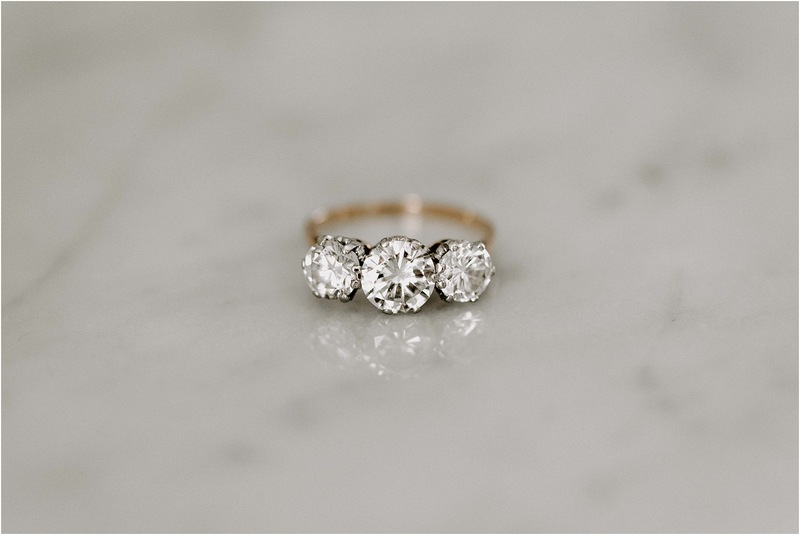 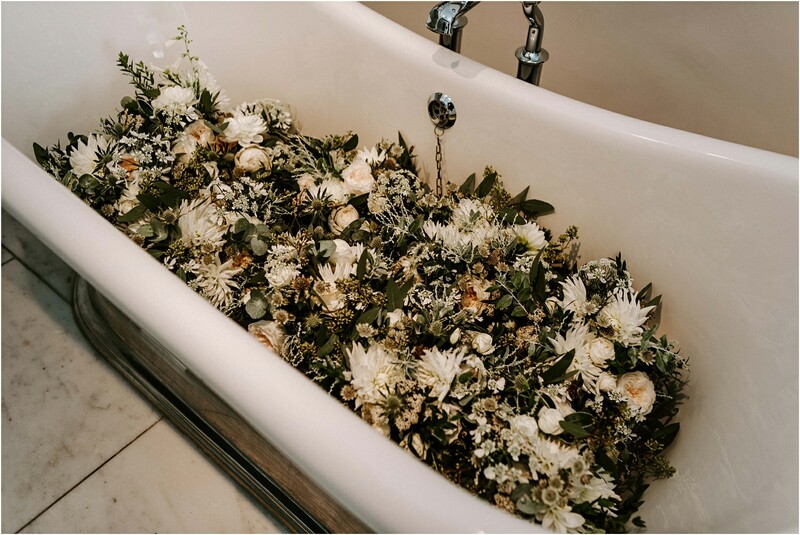 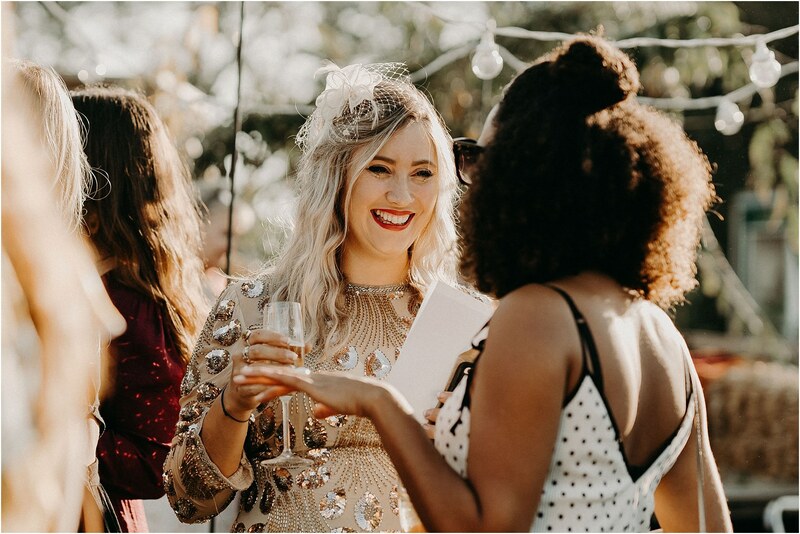 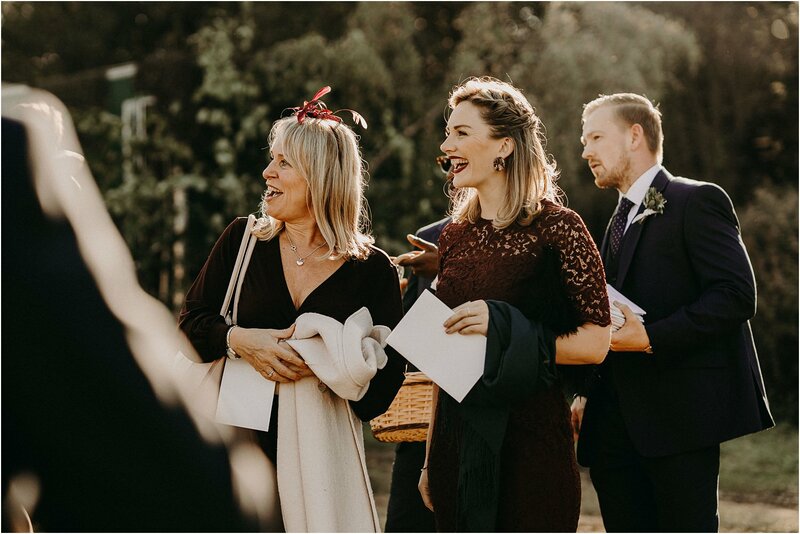 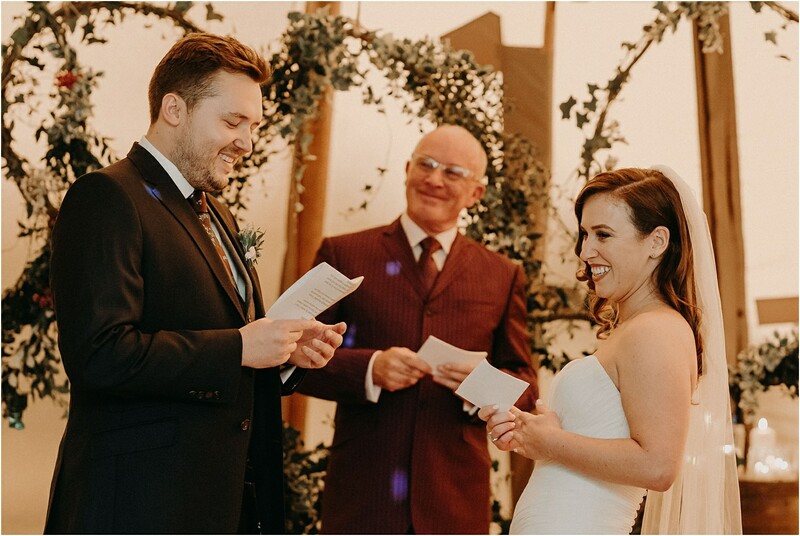 Having married legally a few days before, the couple opted for a blessing on the day which was carried out by a family friend, making the whole affair so much more personal. 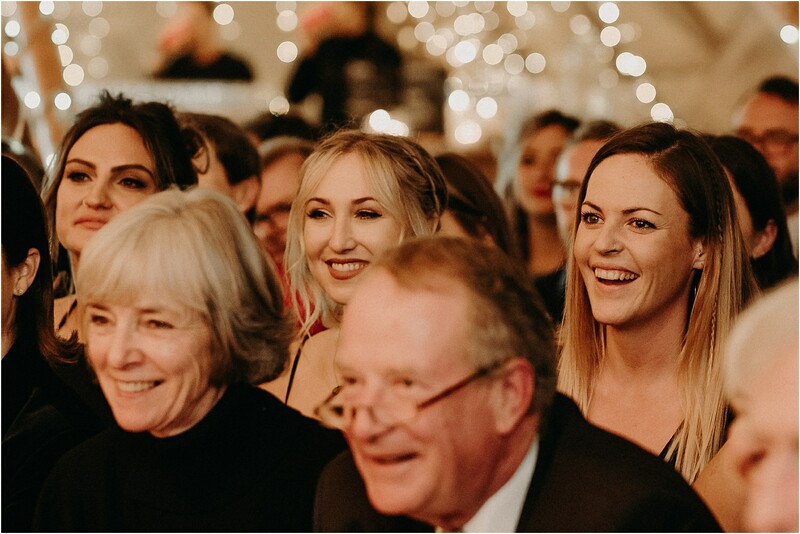 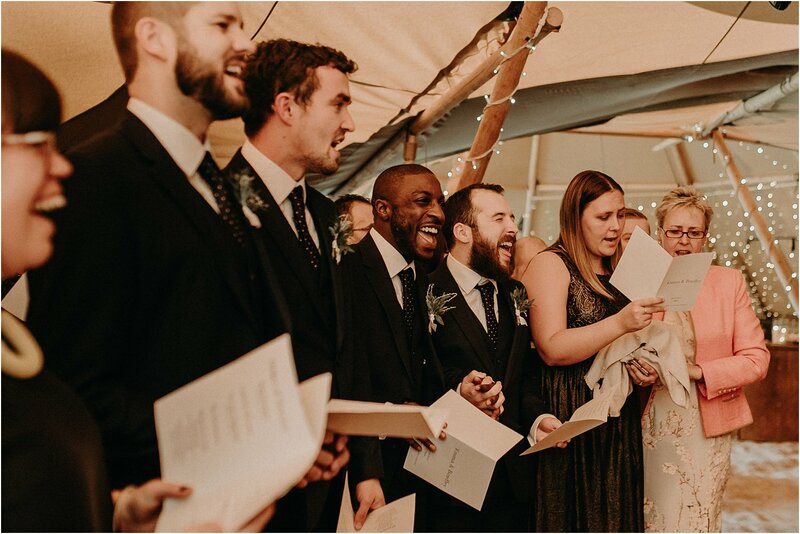 Complete with whole wedding party sing-along mid-ceremony which was such a treat! 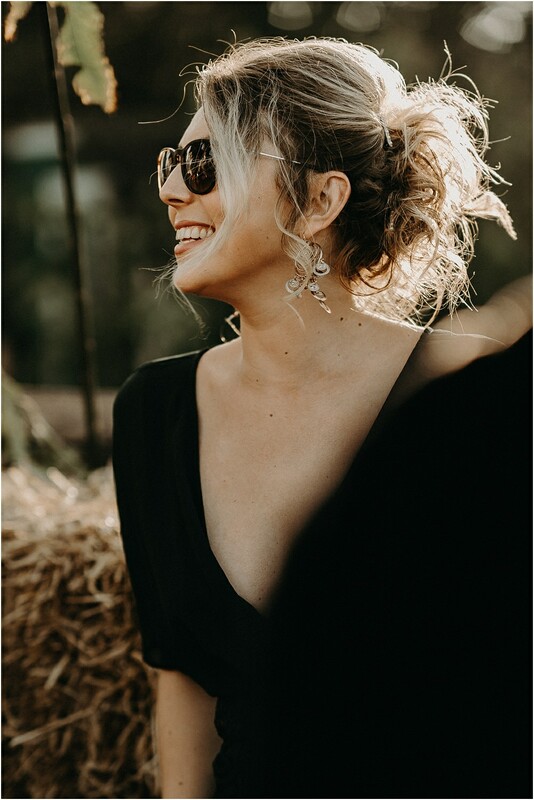 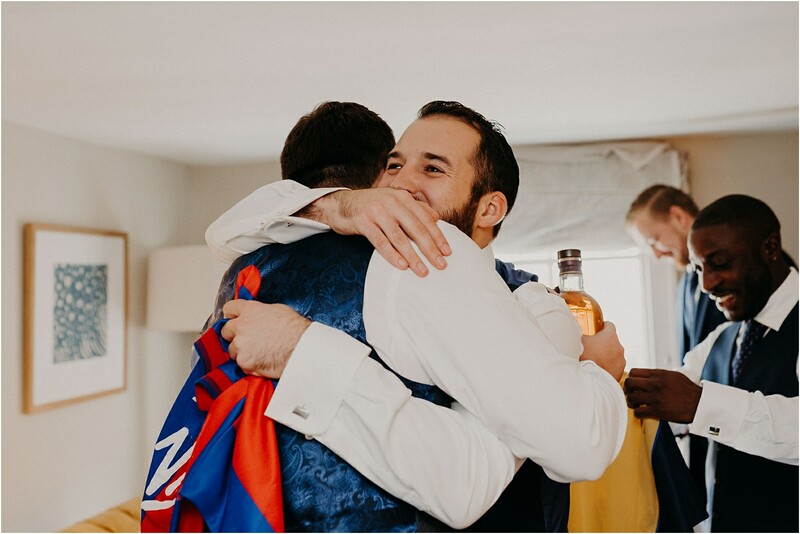 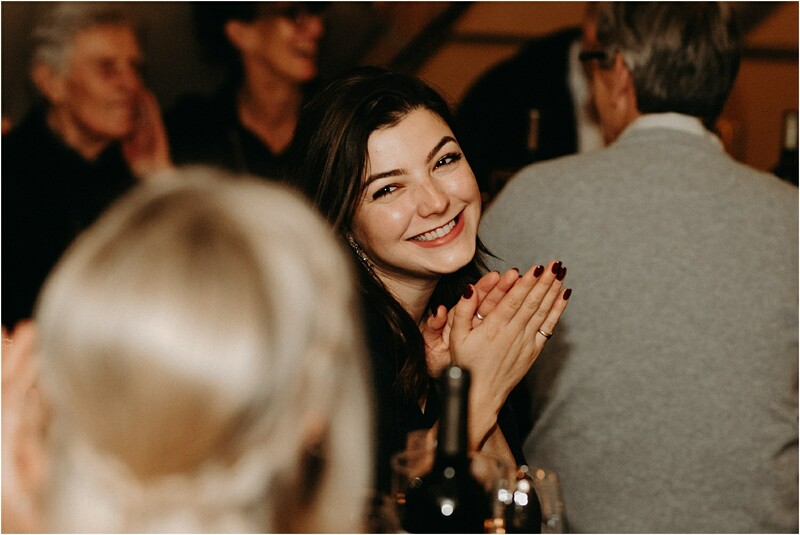 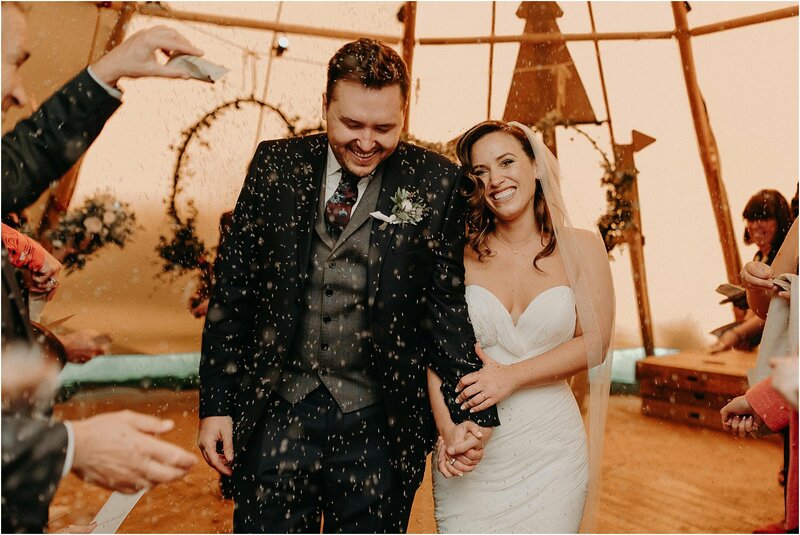 So much happiness in every direction. 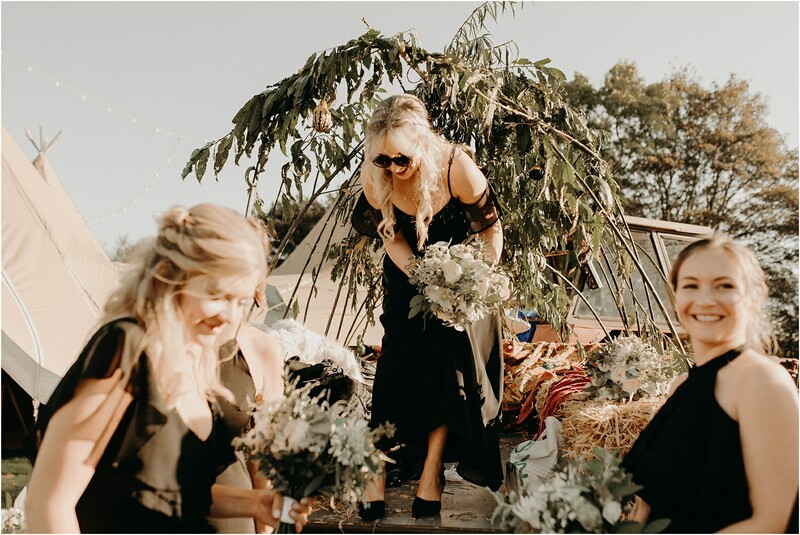 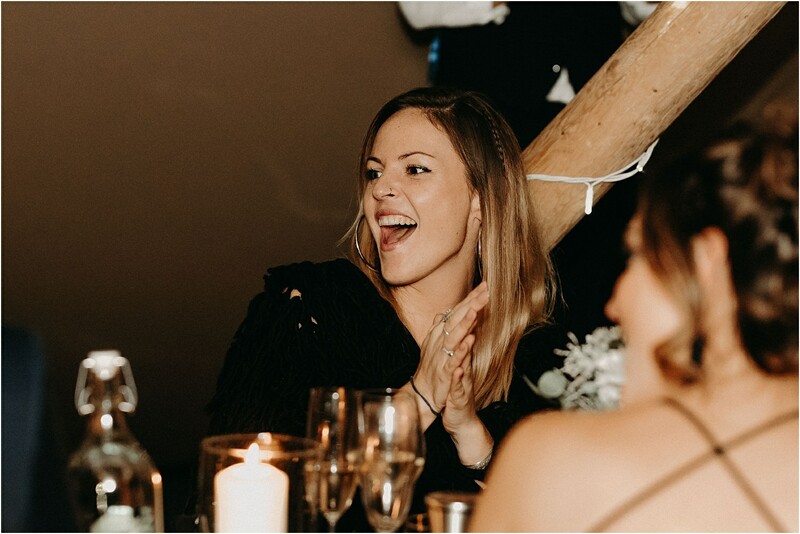 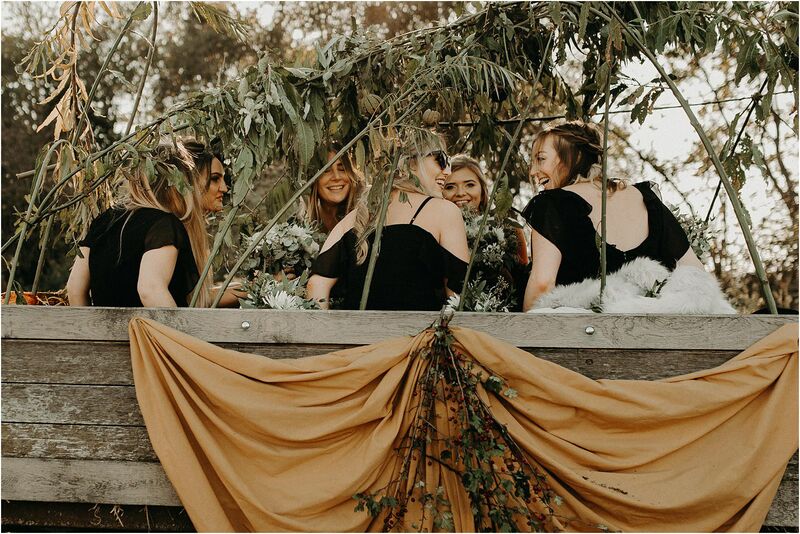 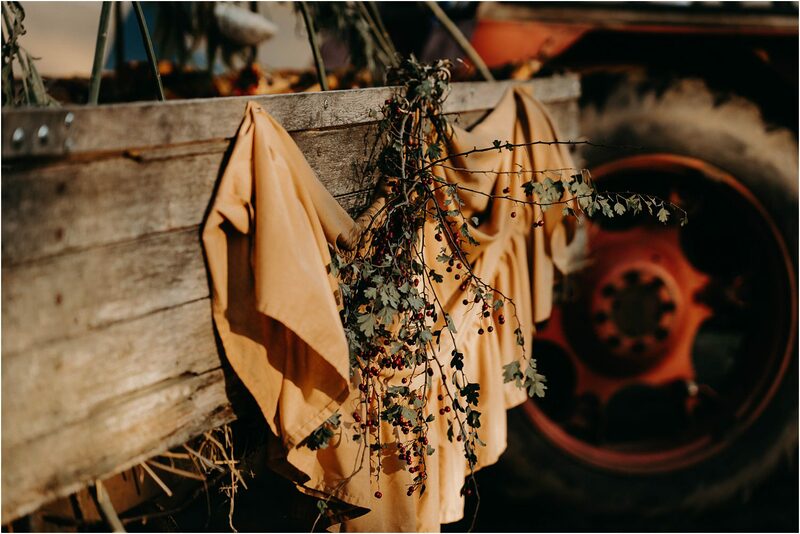 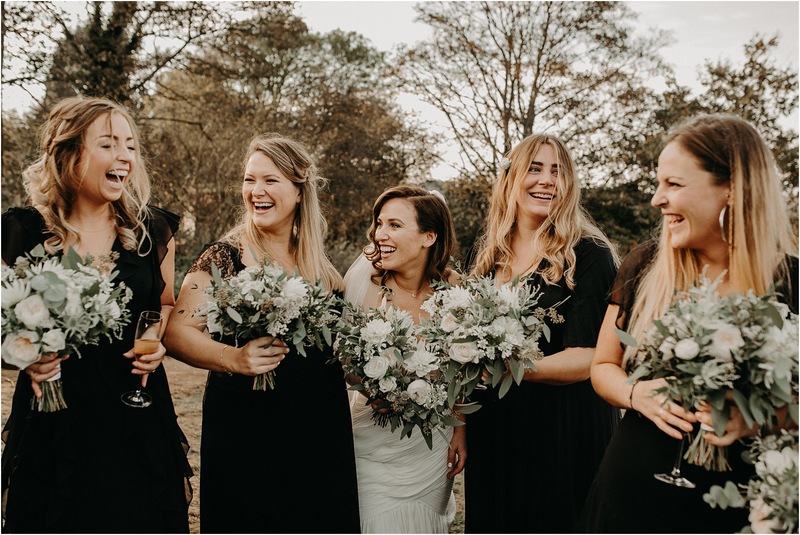 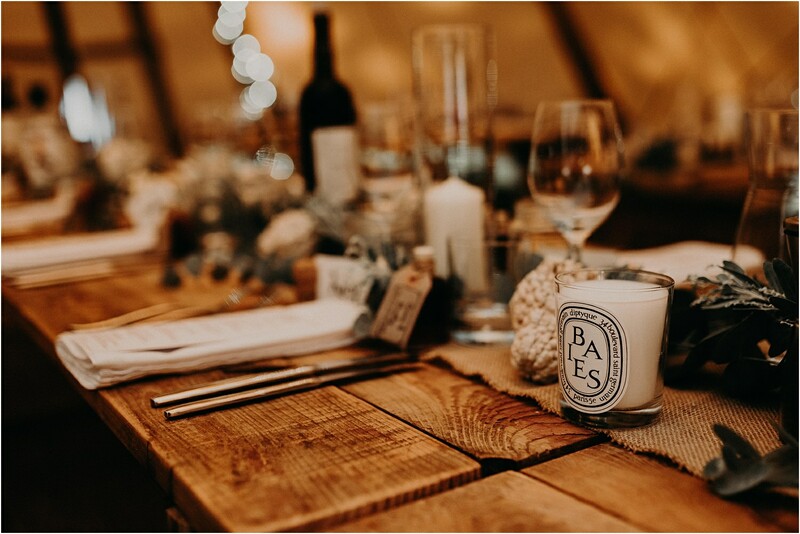 The pumpkins which formed part of the wedding decor for the bride and groom’s Norfolk tipi wedding were actually hand-carved by Emma and her bridesmaids on her hen do! 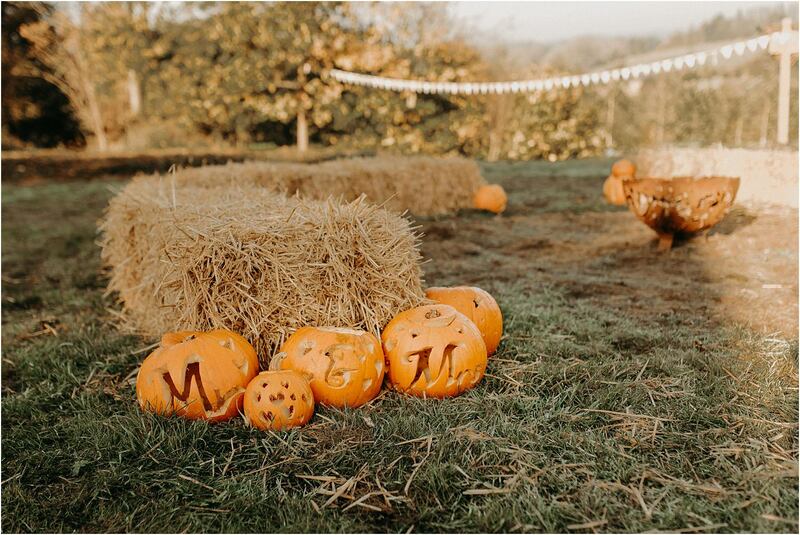 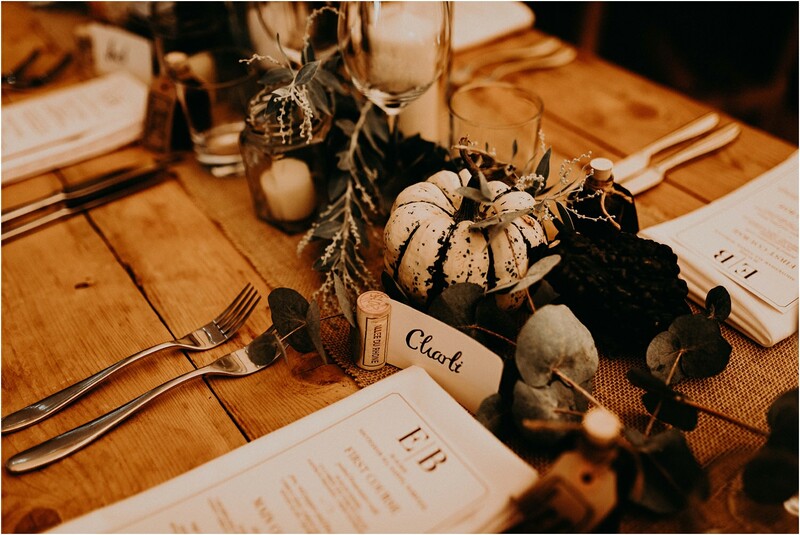 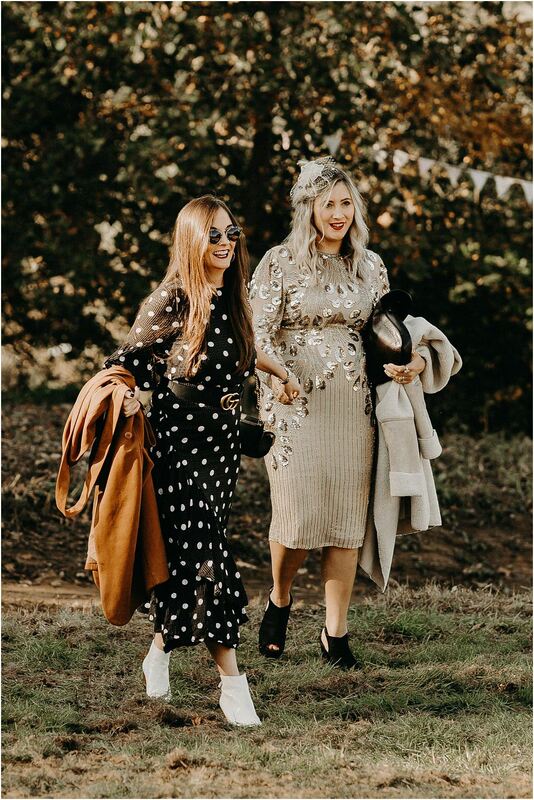 Such a unique idea perfect for an Autumn wedding celebration. 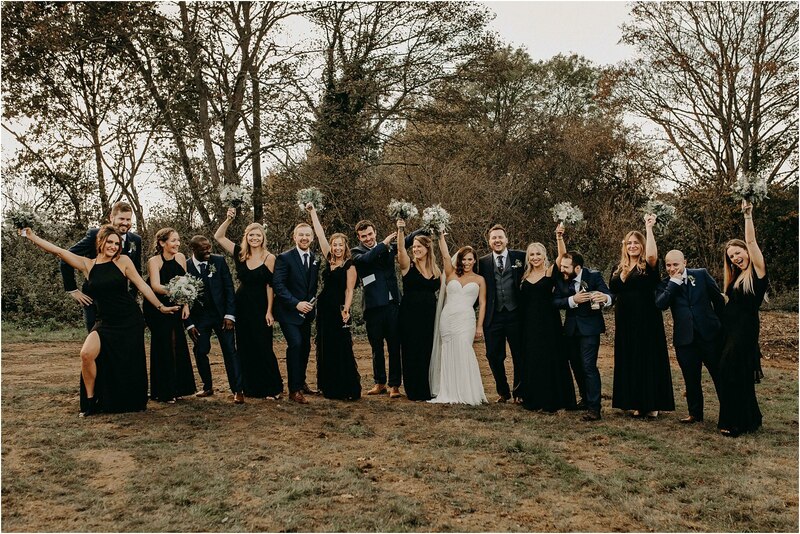 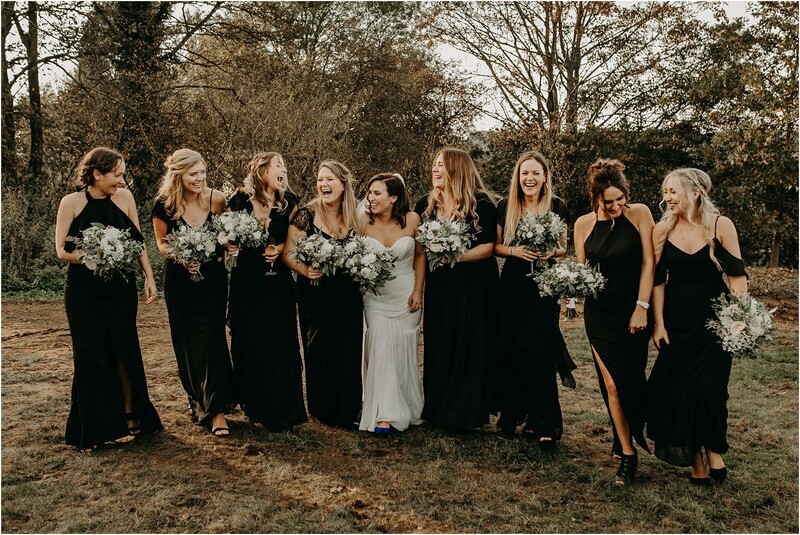 All of the bridesmaids also wore black dresses which I love love loveddddd! 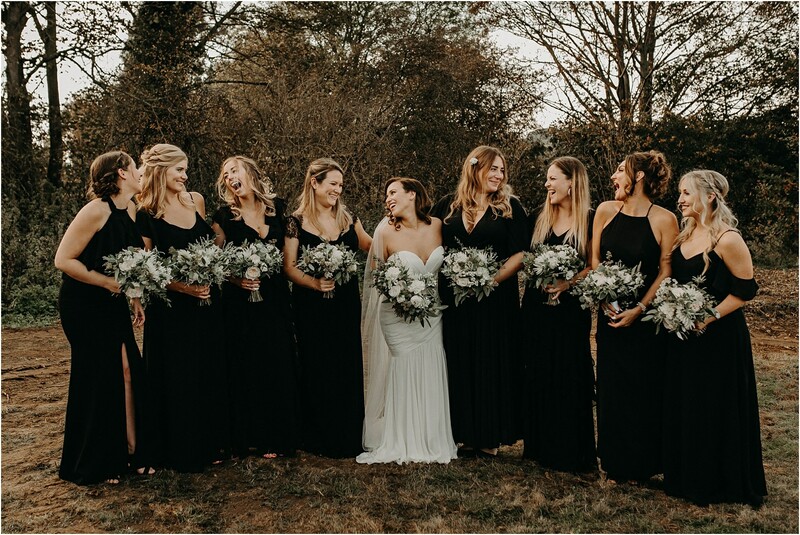 Each style was different and suited the girls perfectly. 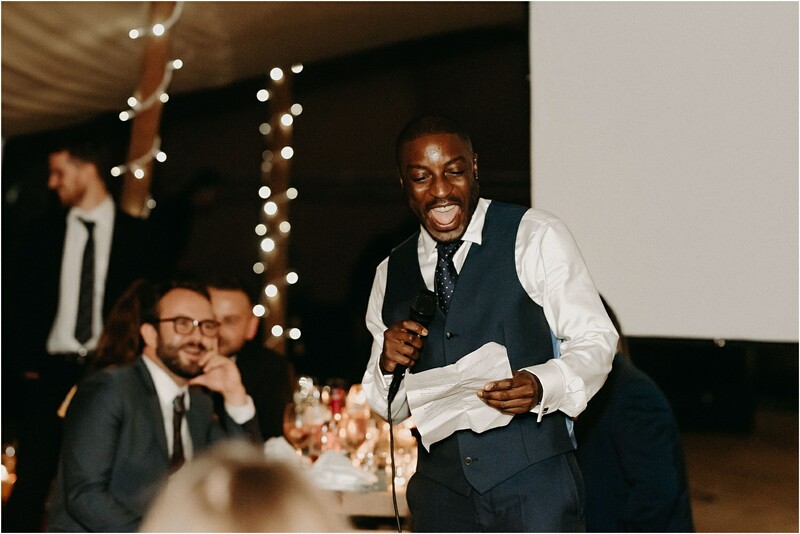 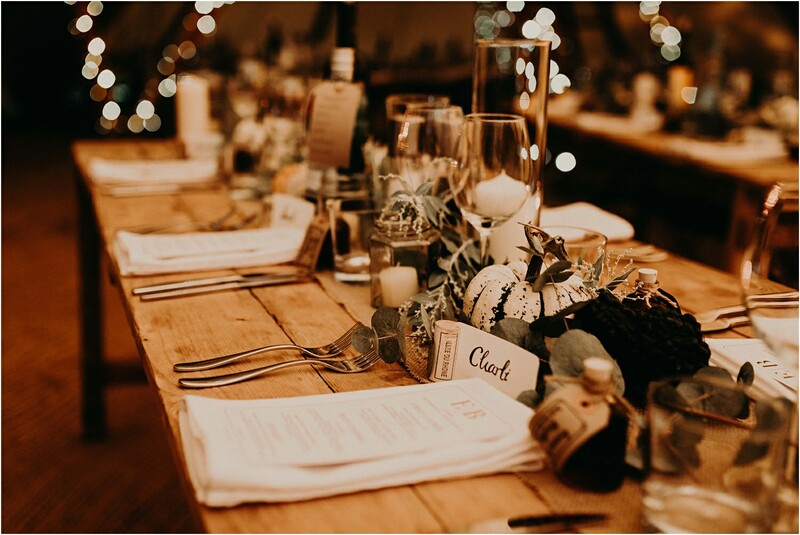 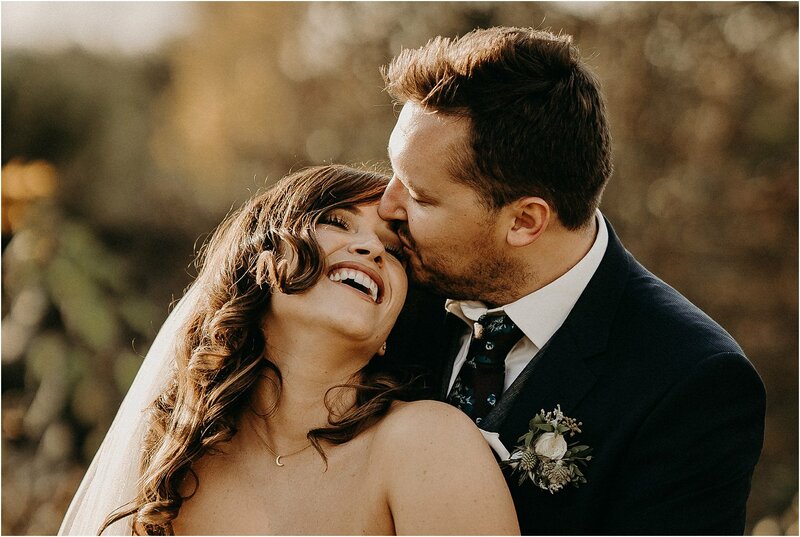 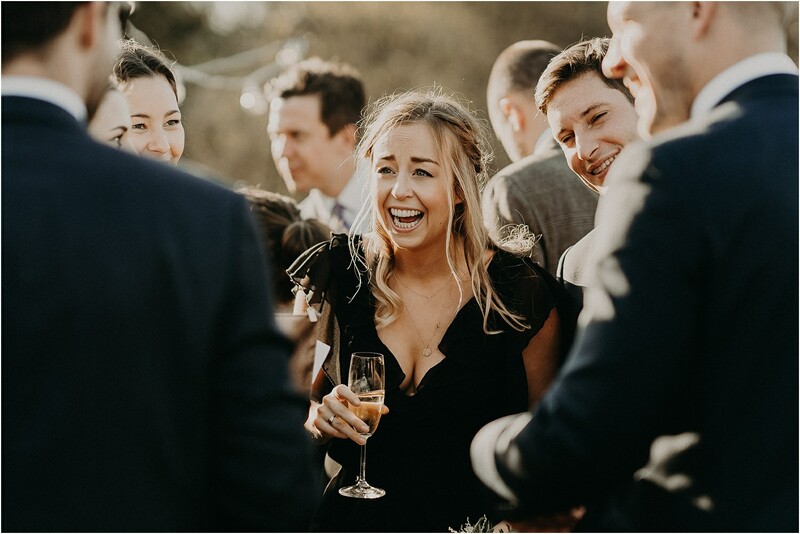 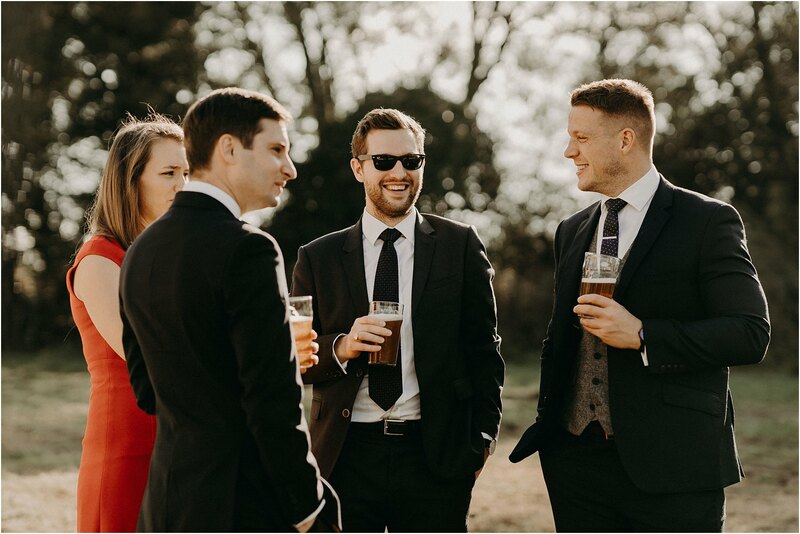 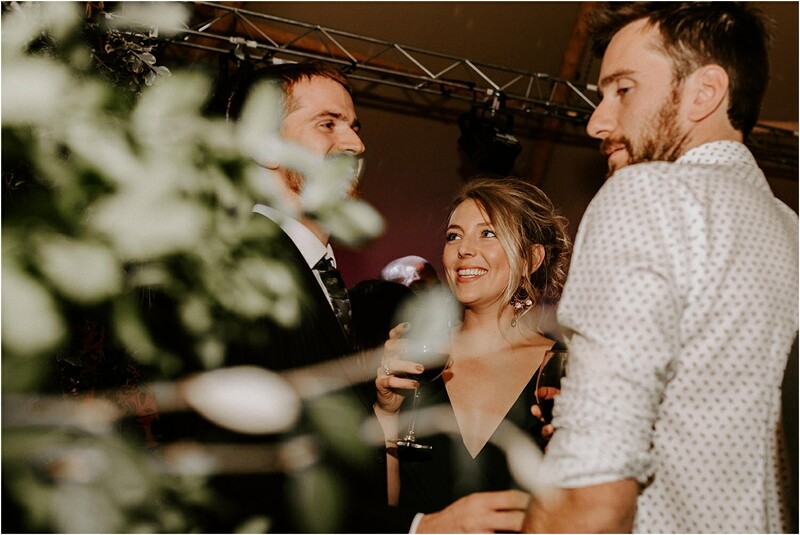 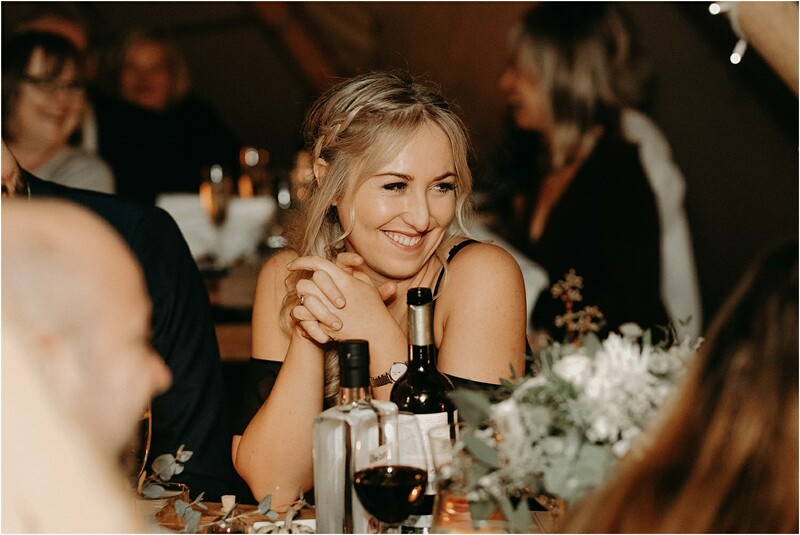 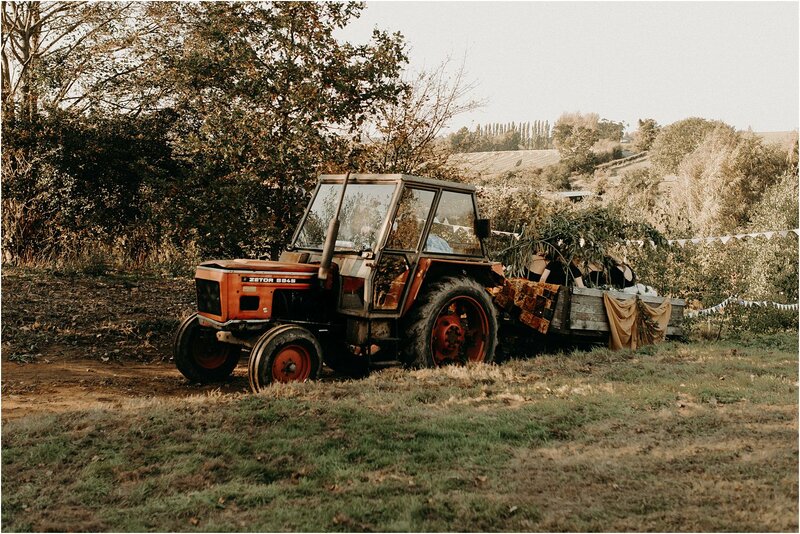 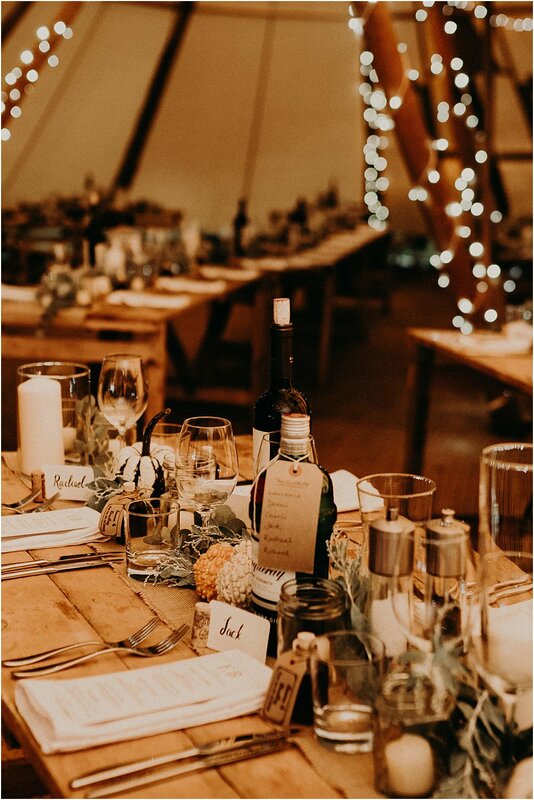 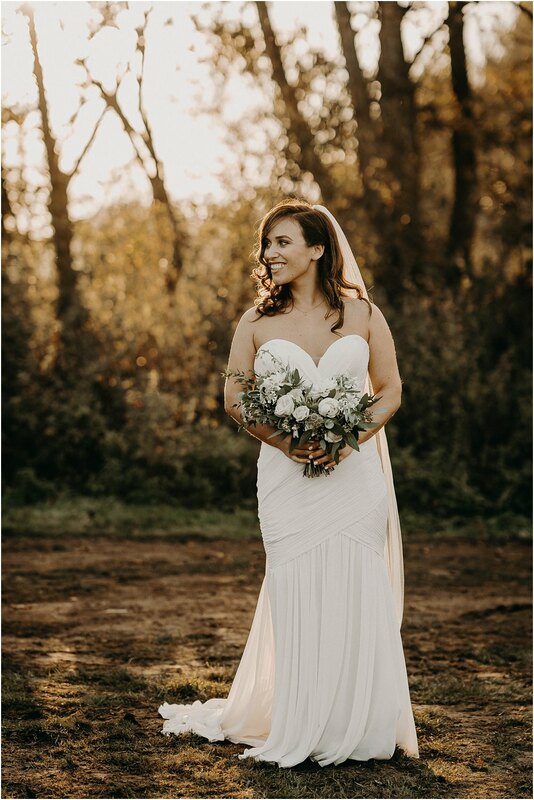 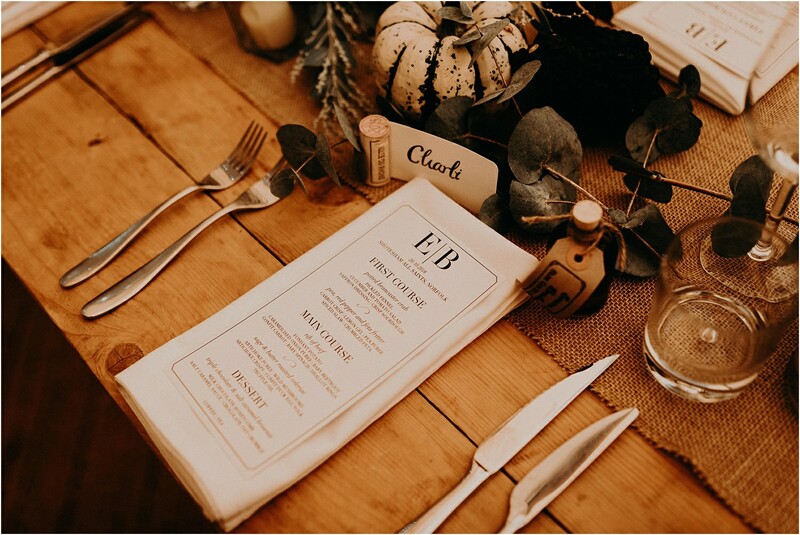 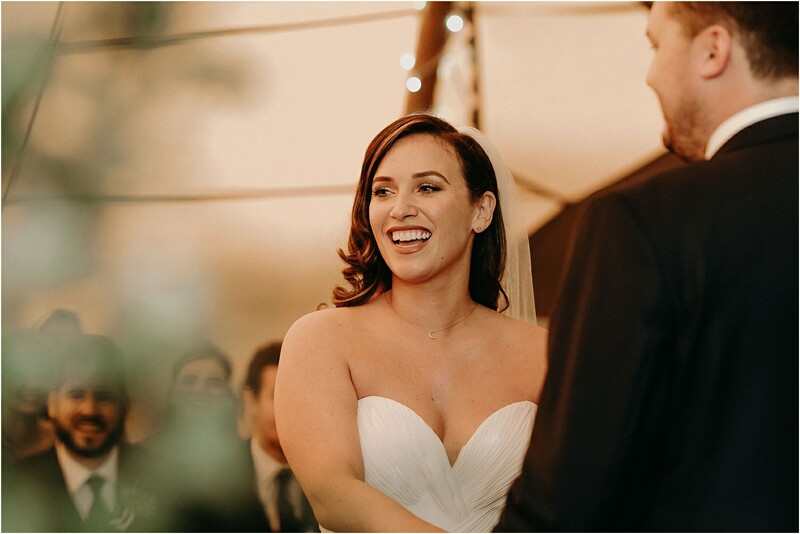 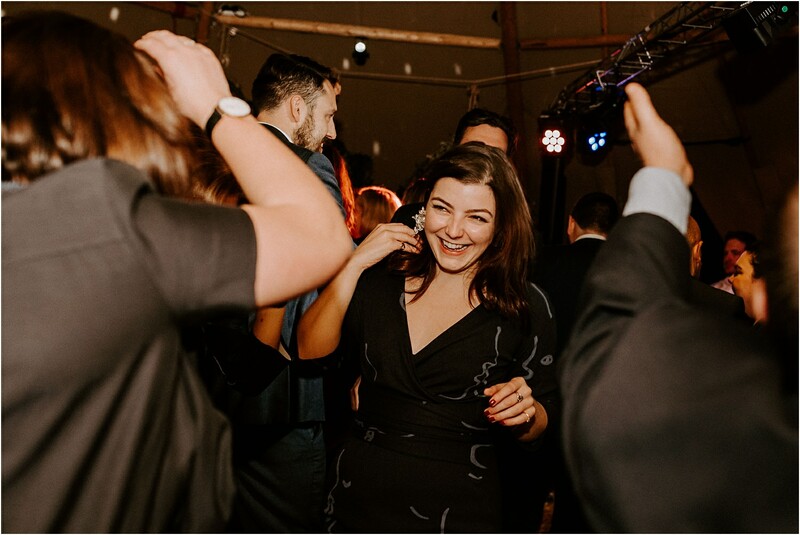 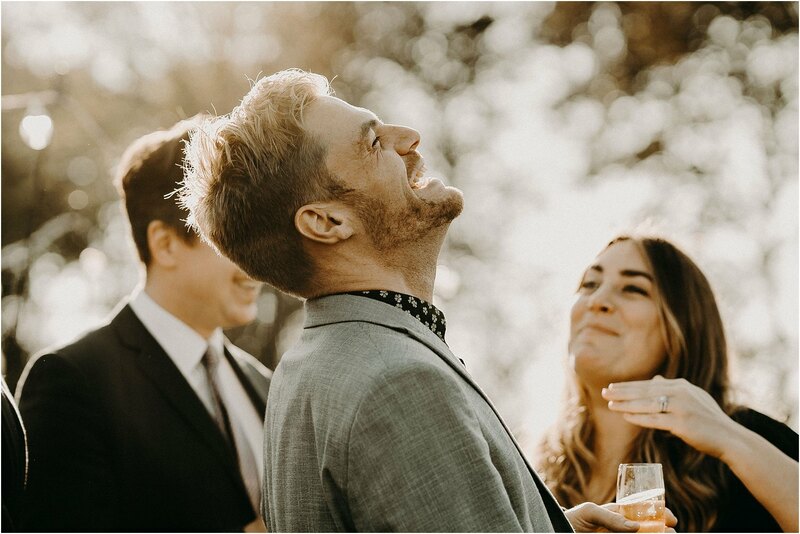 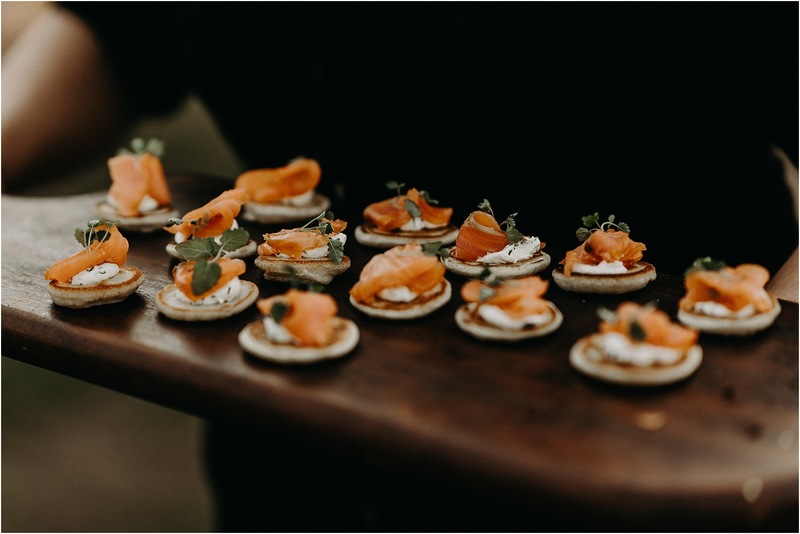 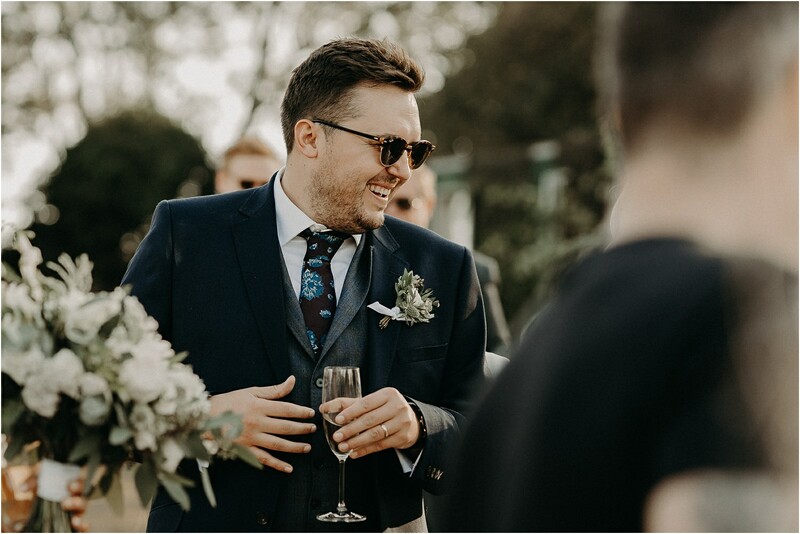 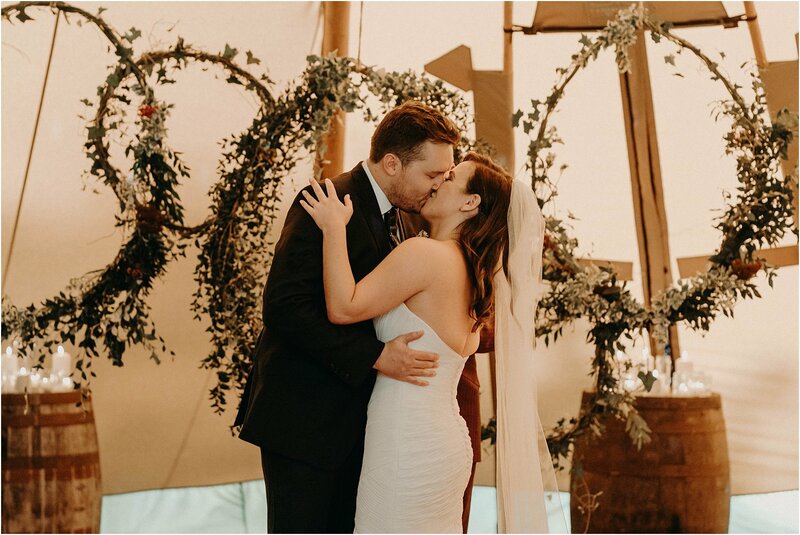 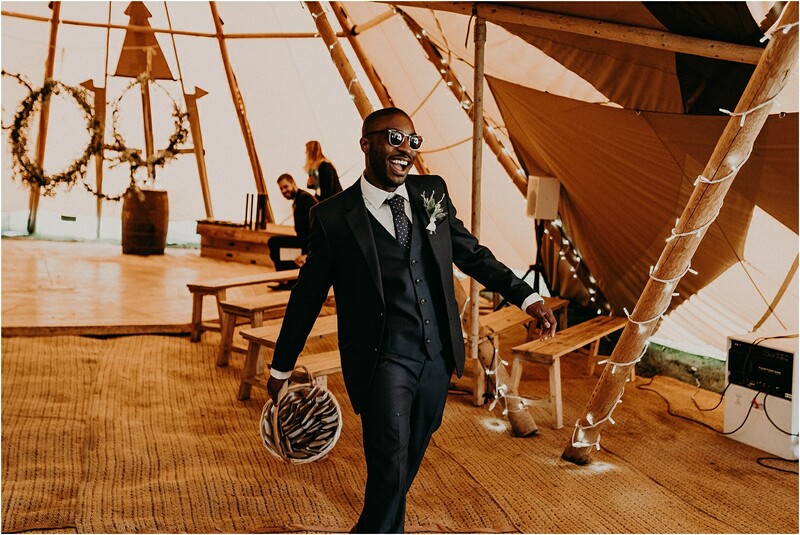 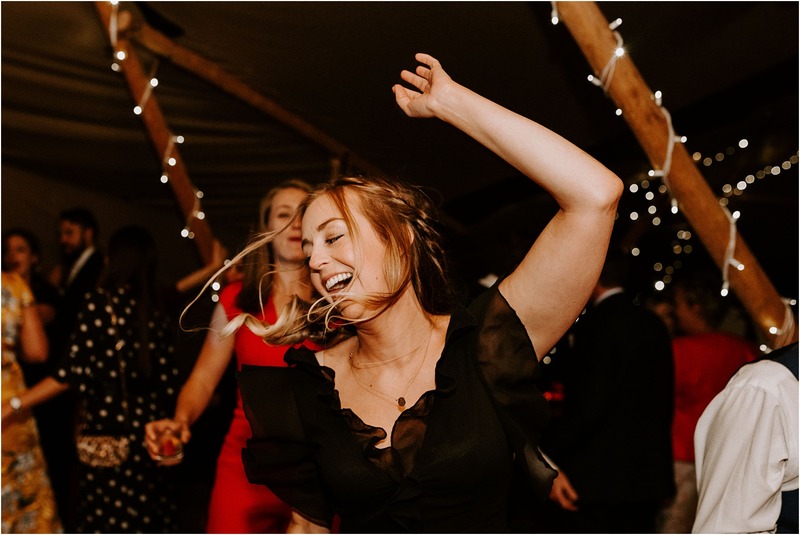 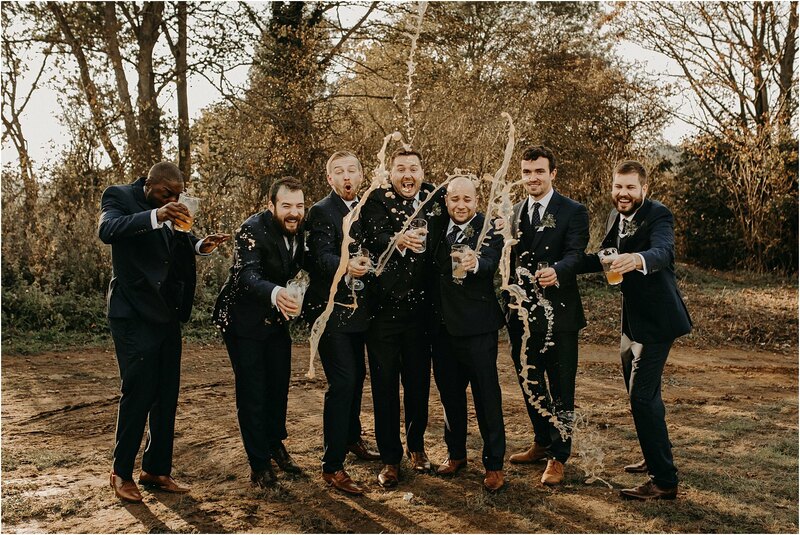 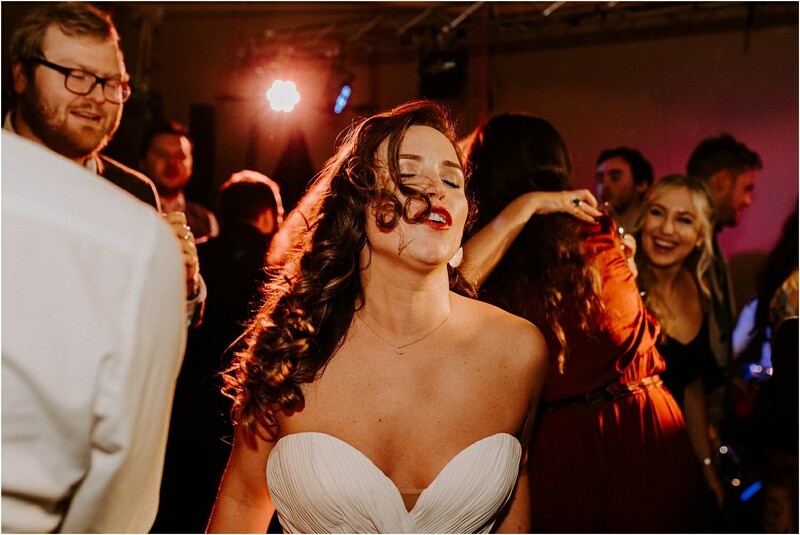 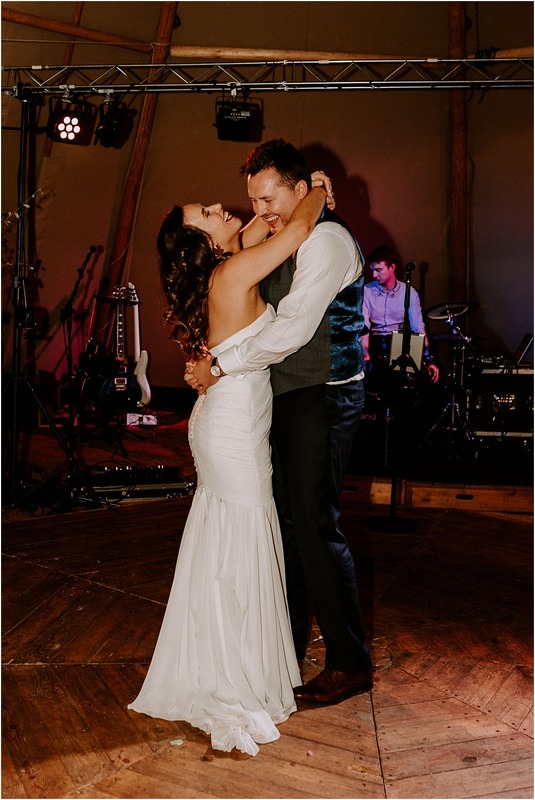 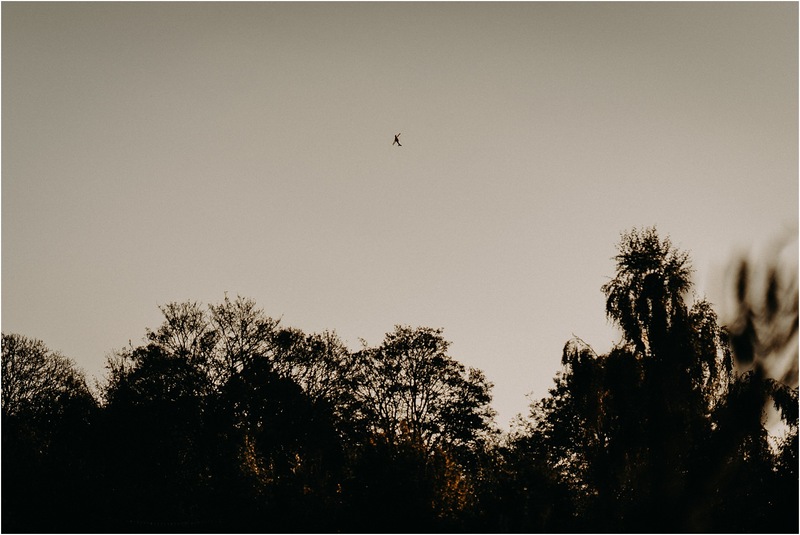 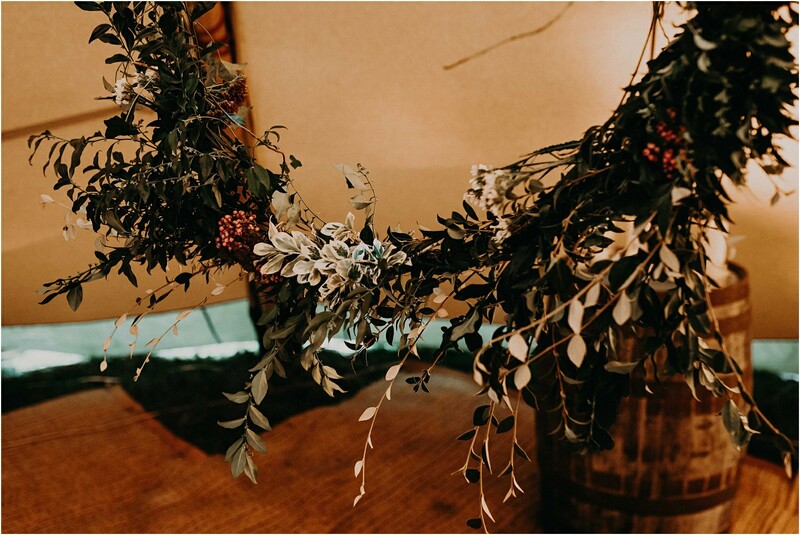 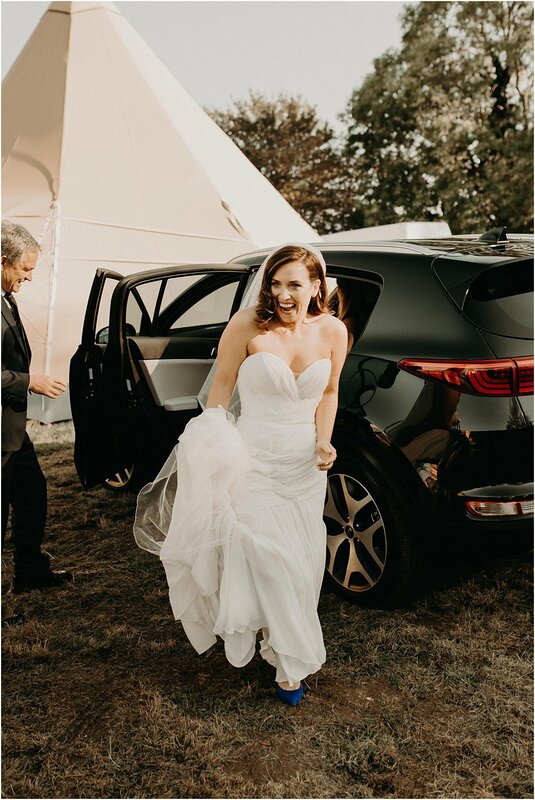 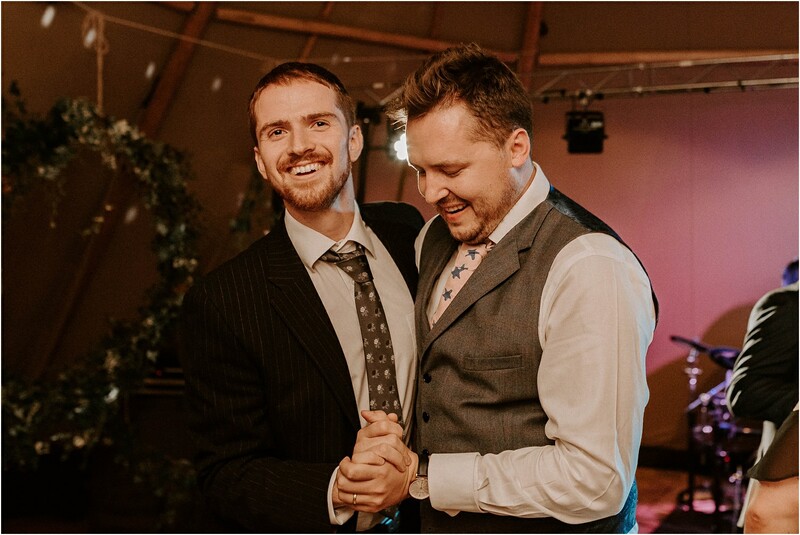 Weddings in Norfolk I can always pretty much guarantee will be awesome due to the endless views of beautiful countryside wherever you look and this Norfolk tipi wedding certainly didn’t disappoint! 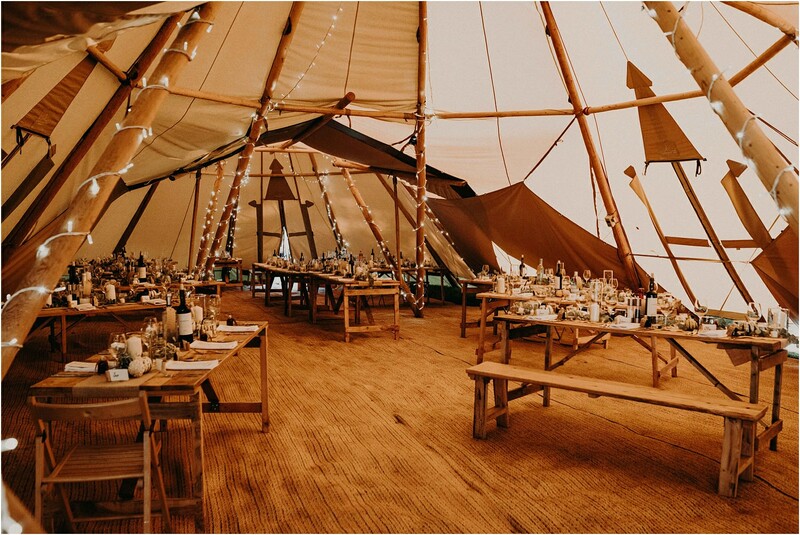 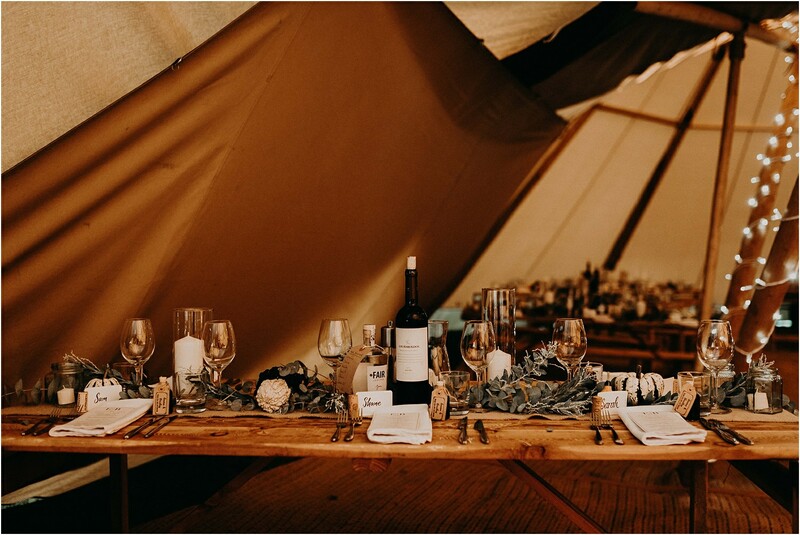 More Norfolk tipi weddings please!